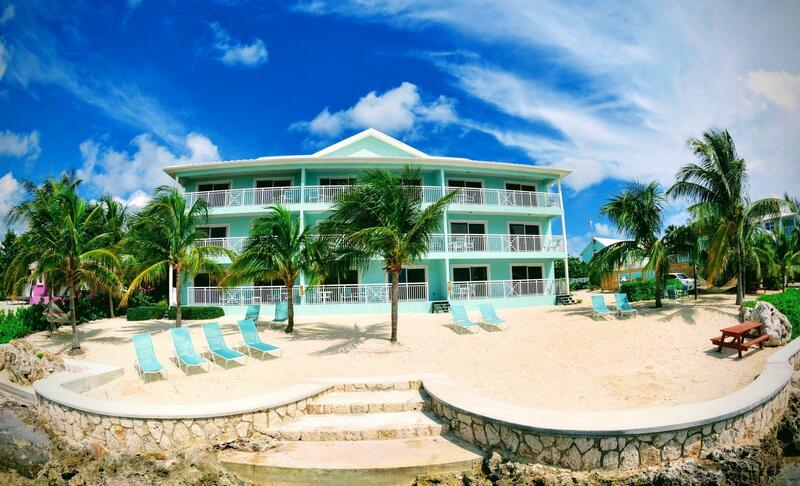 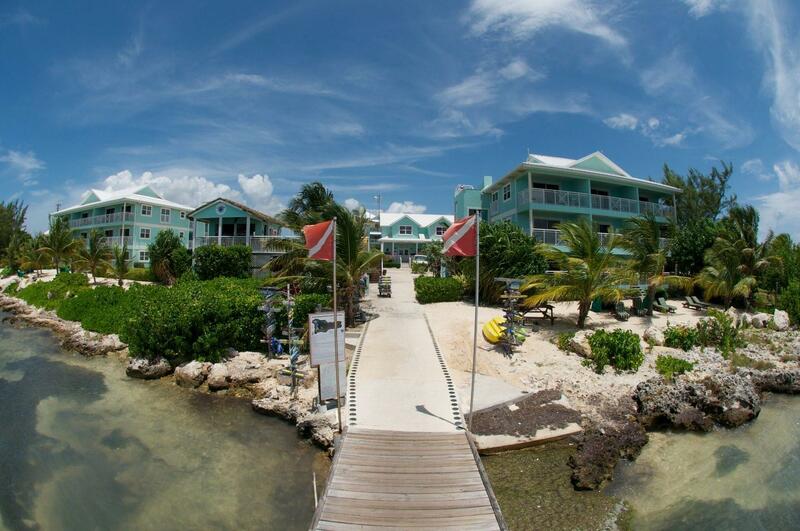 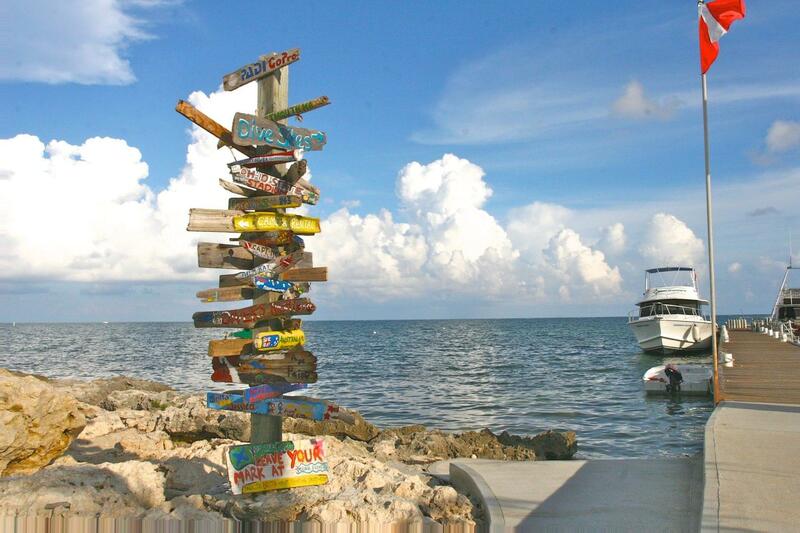 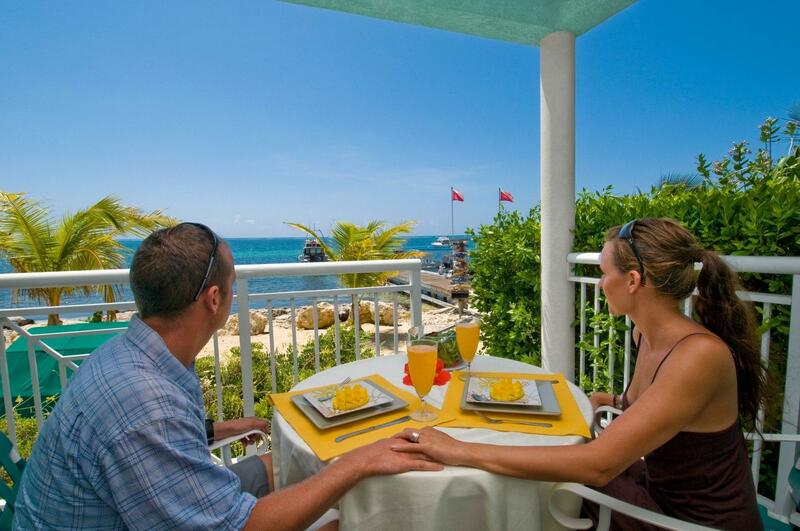 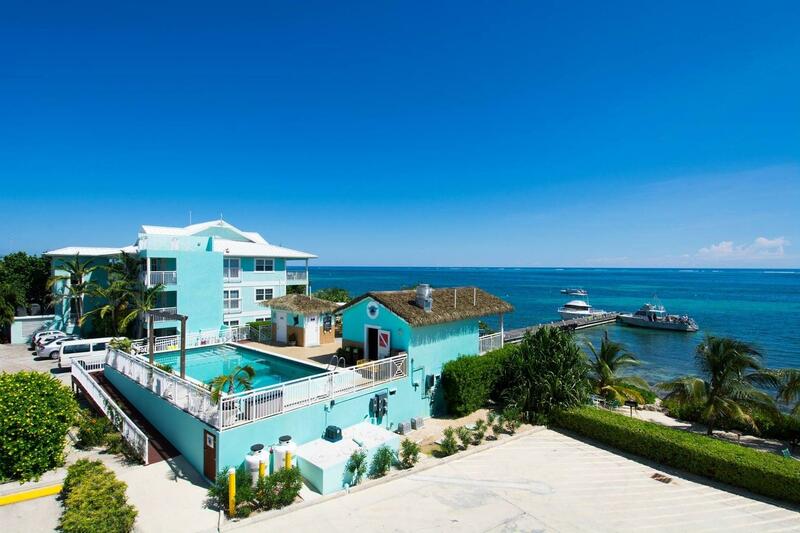 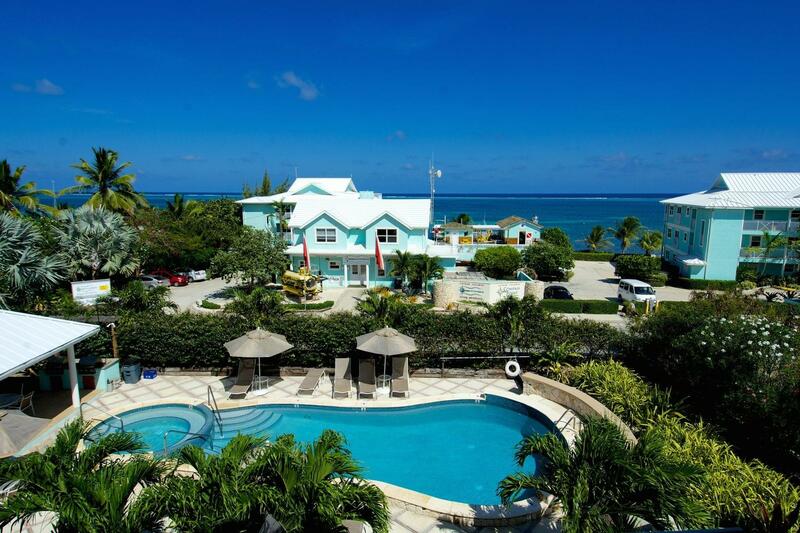 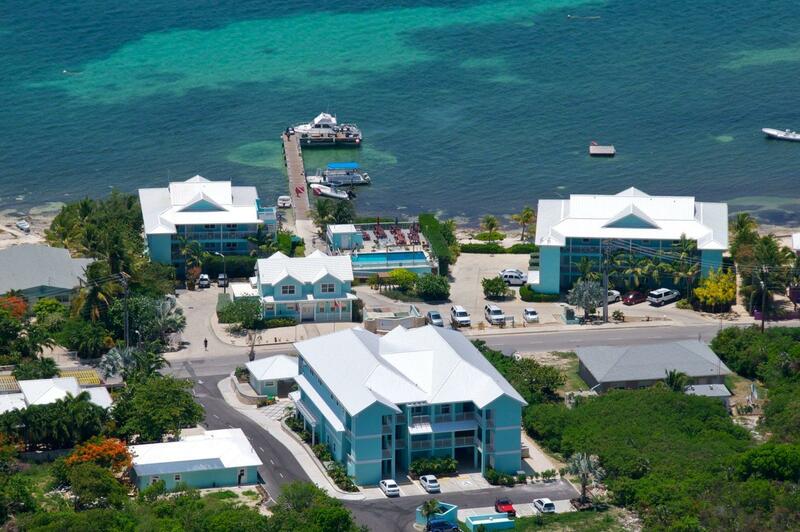 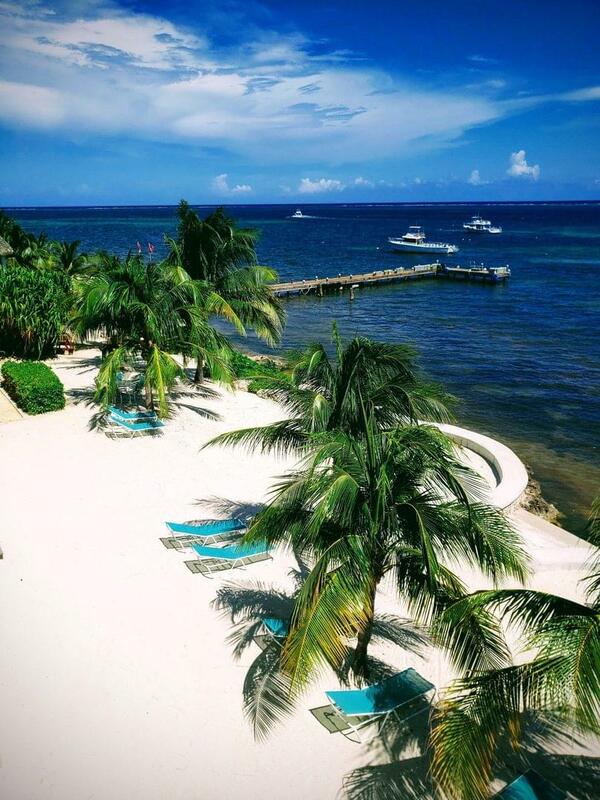 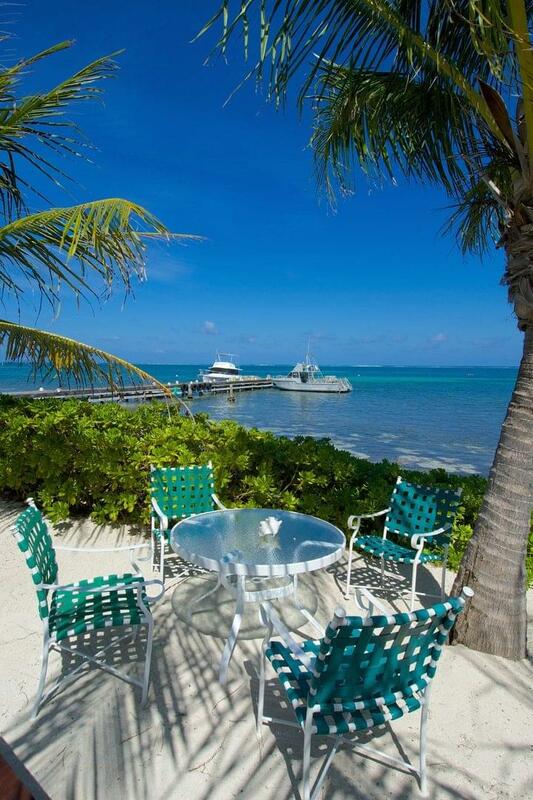 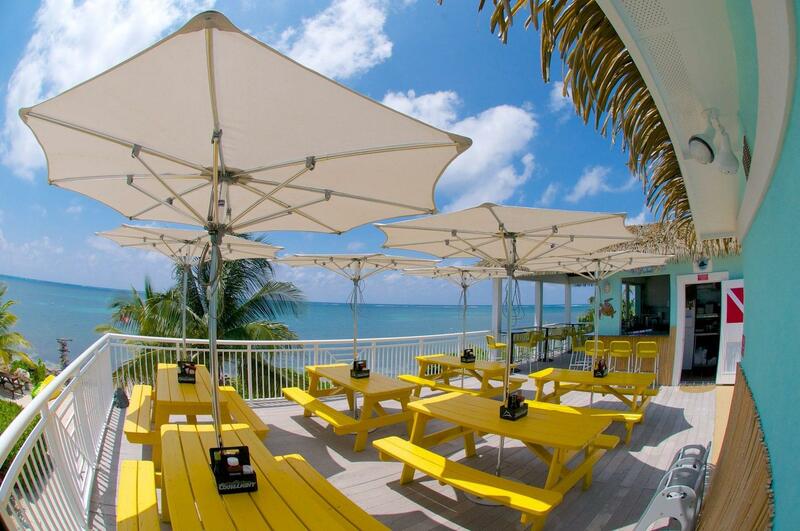 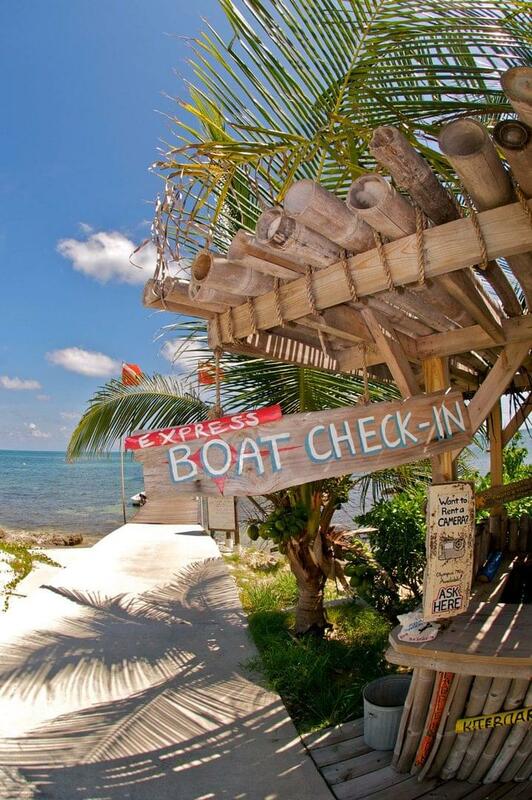 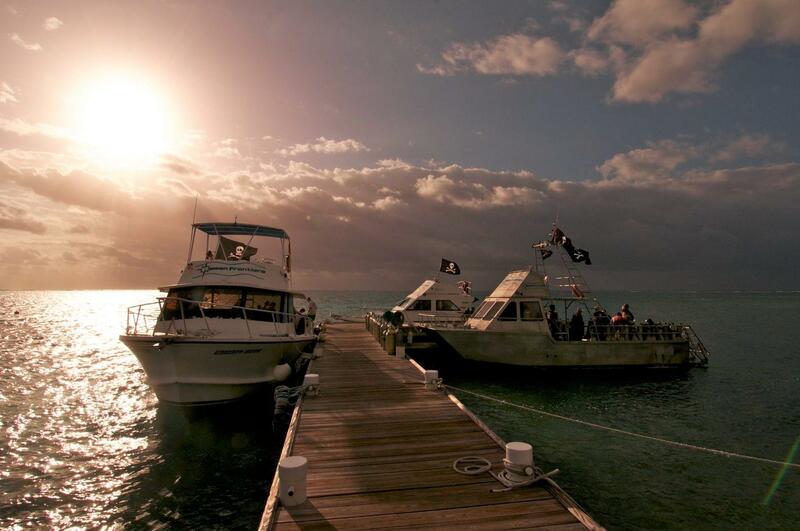 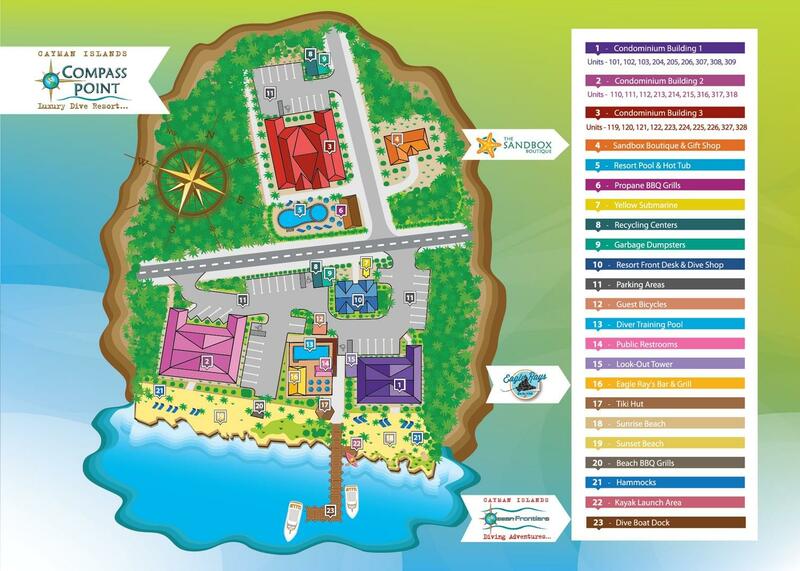 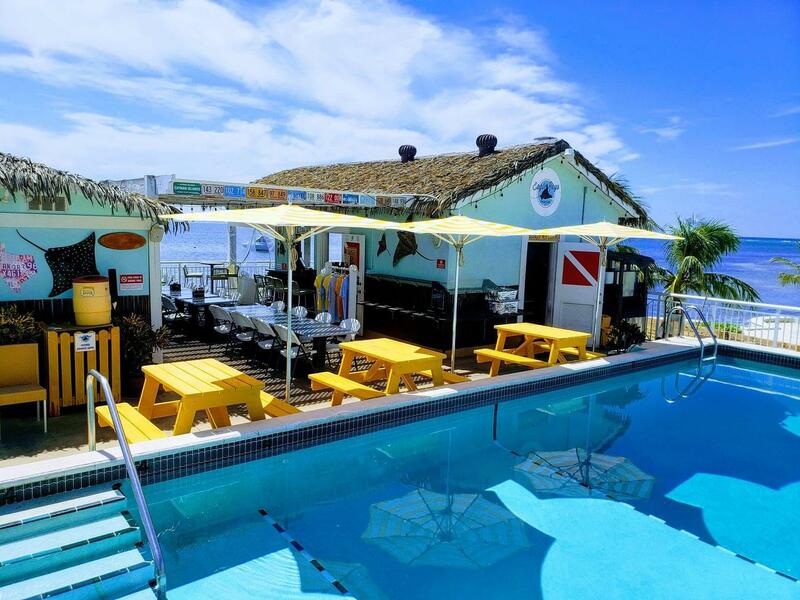 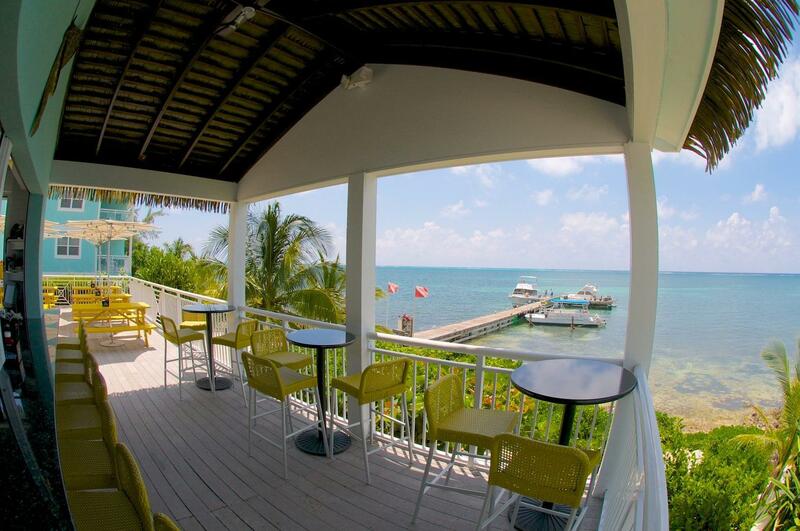 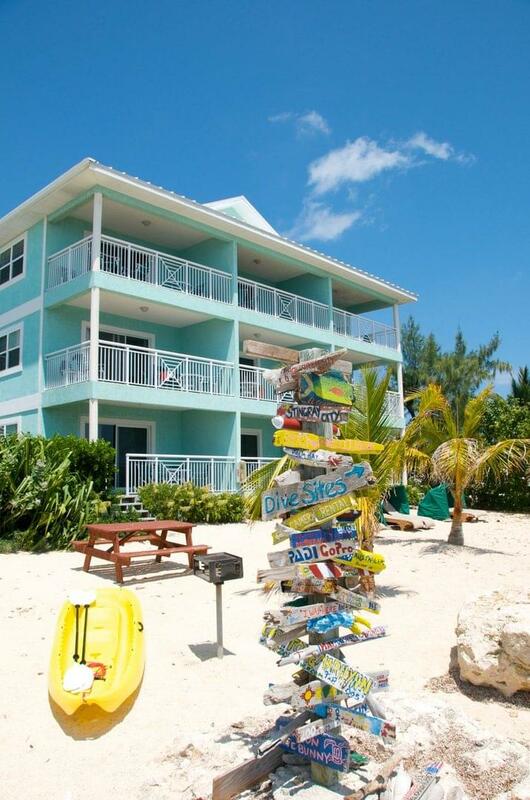 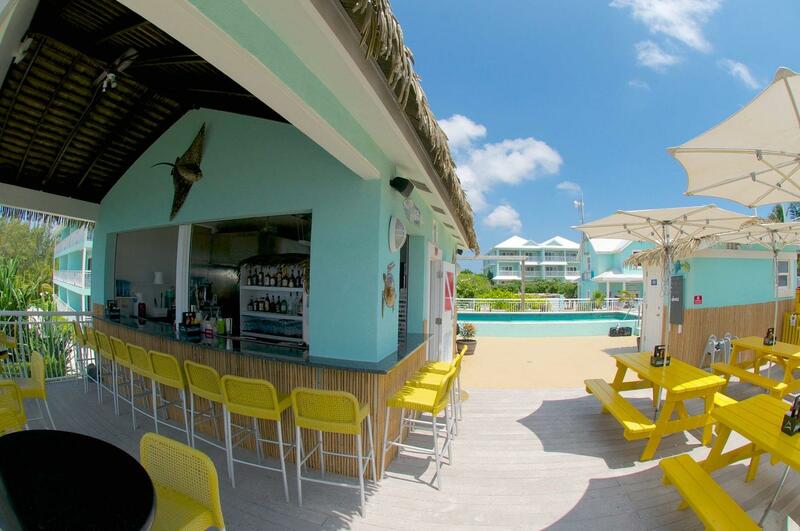 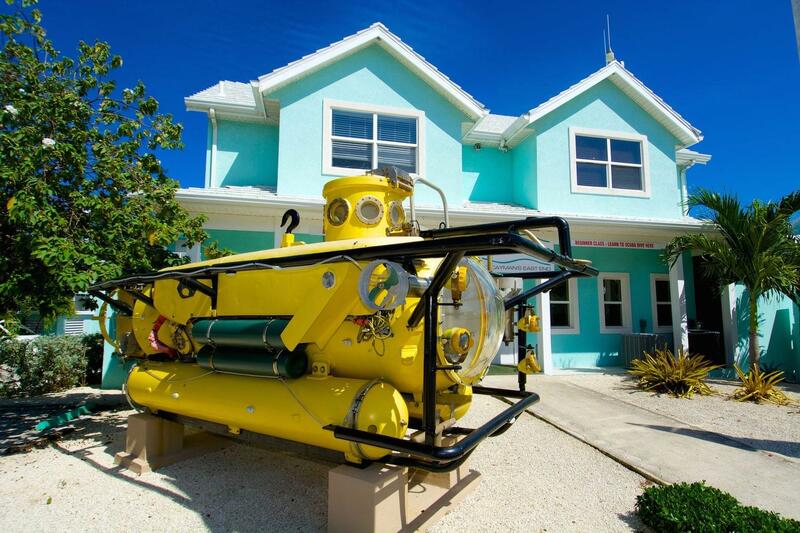 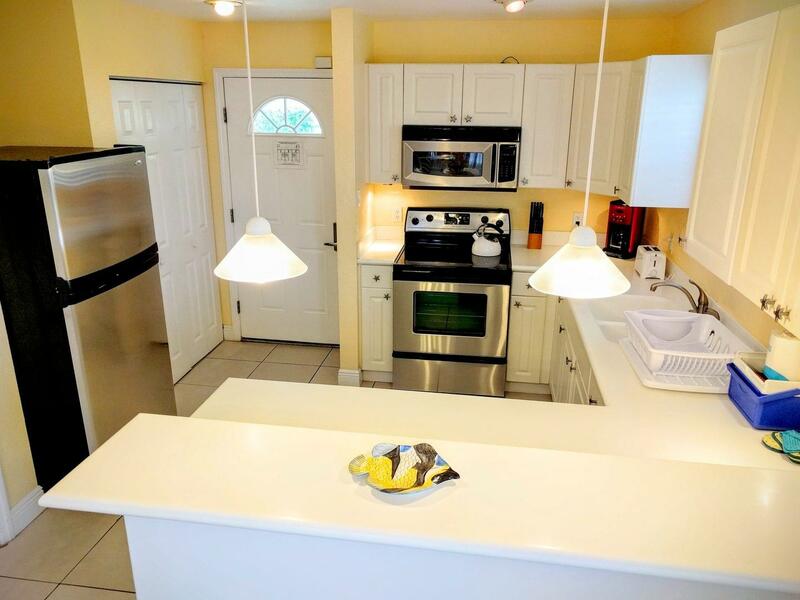 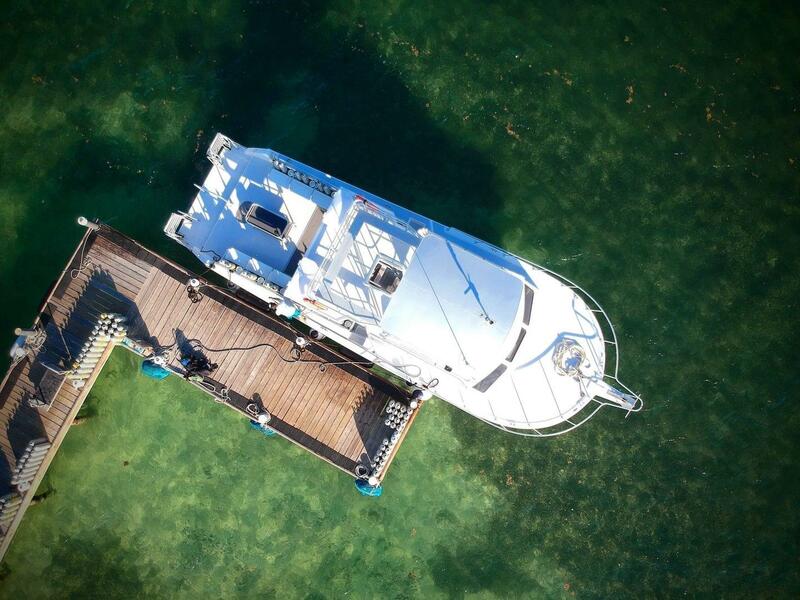 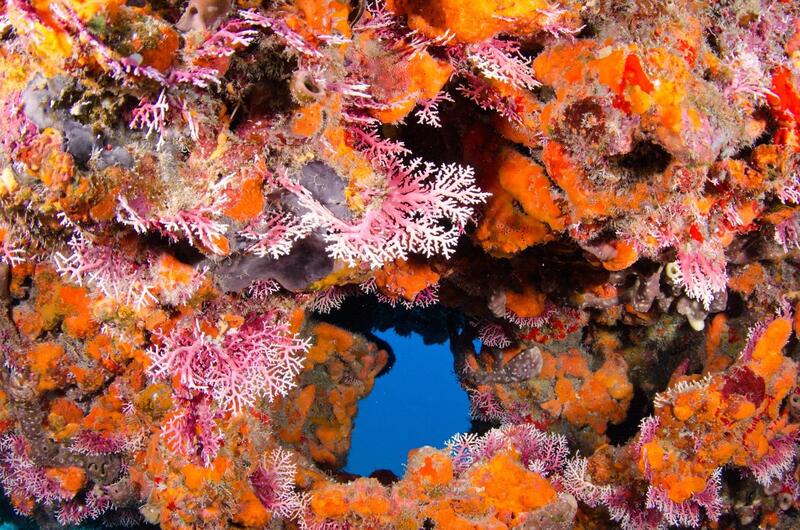 Compass Point Dive Resort is a colorful divers' resort in Grand Cayman's East End. 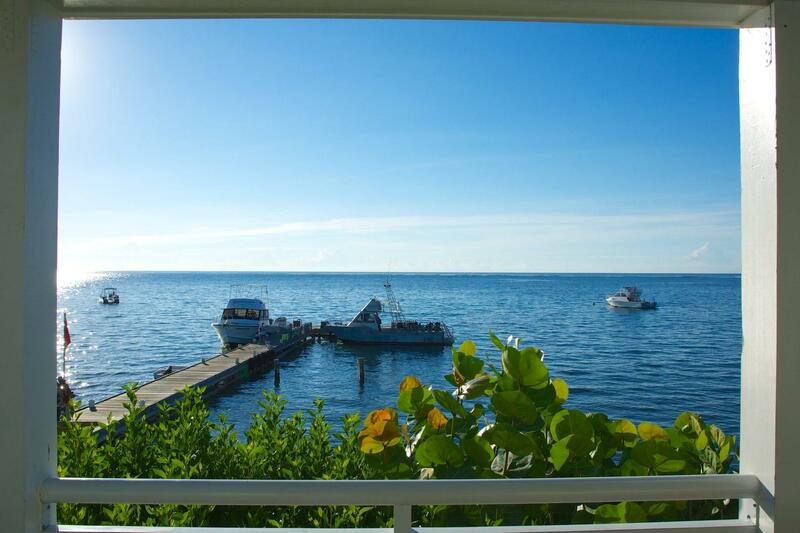 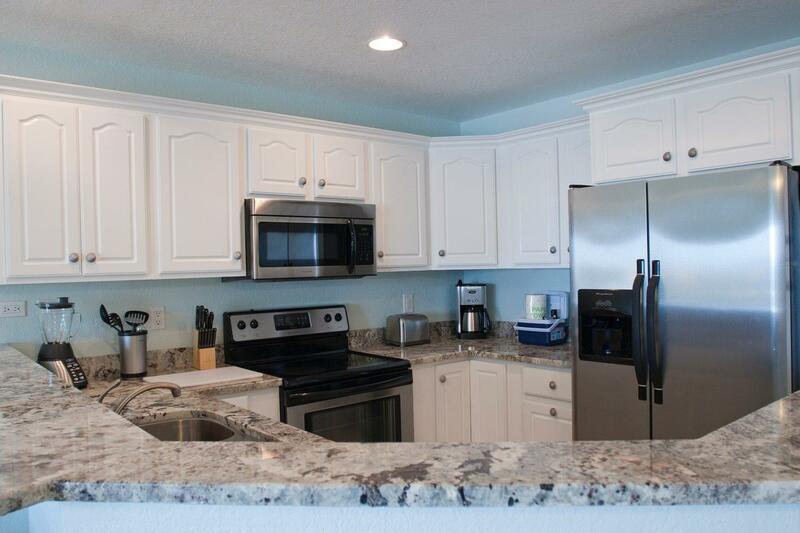 The property offers access to a secluded beach, panoramic views, two swimming pools and a private dock. 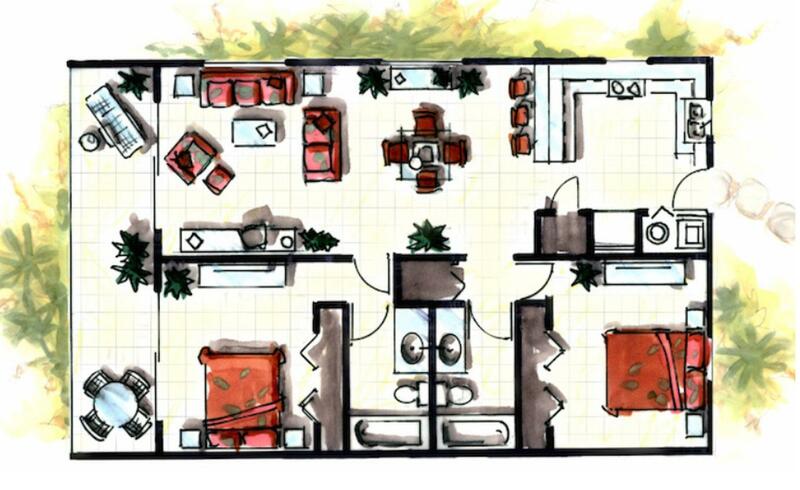 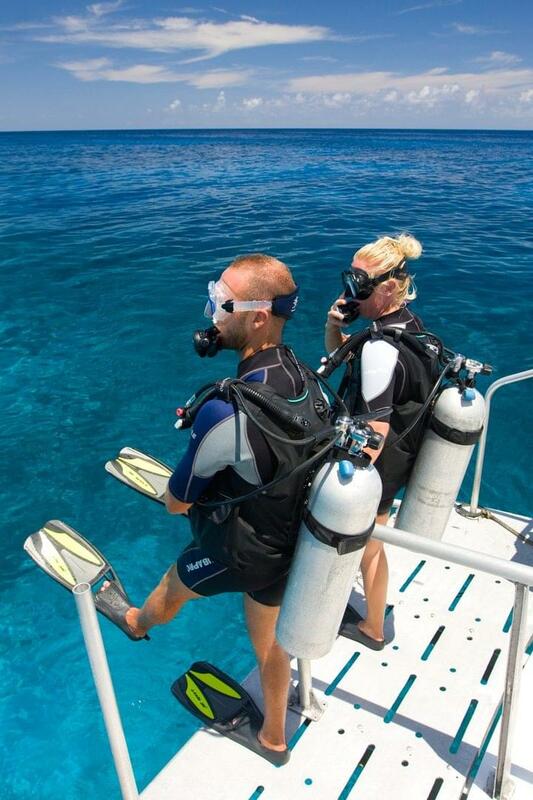 The premesis also has an in-house dive center, bar & grill and a gift shop. 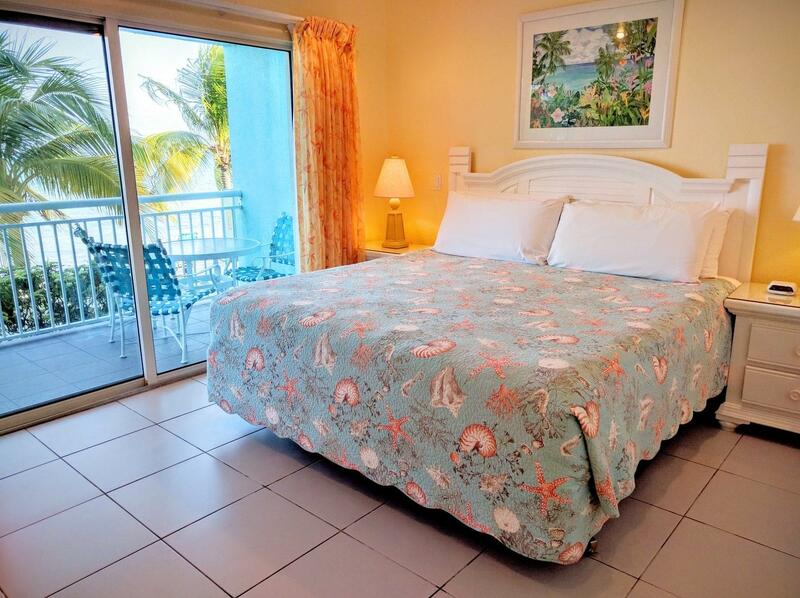 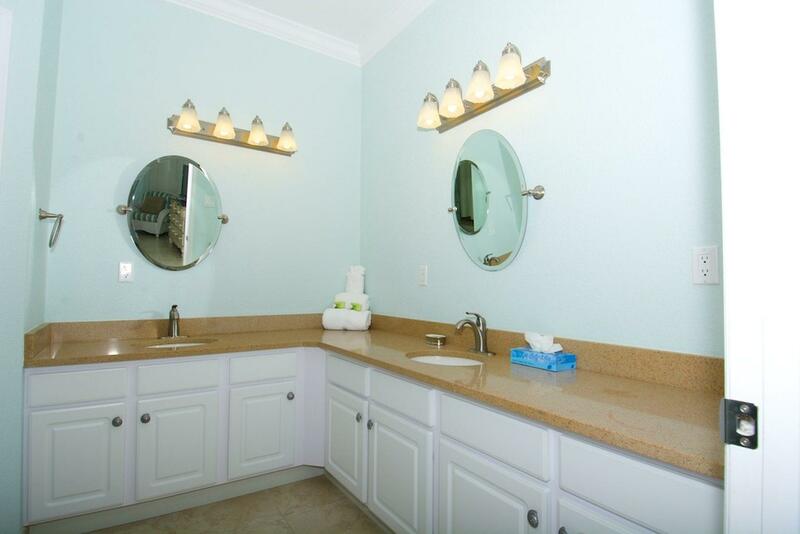 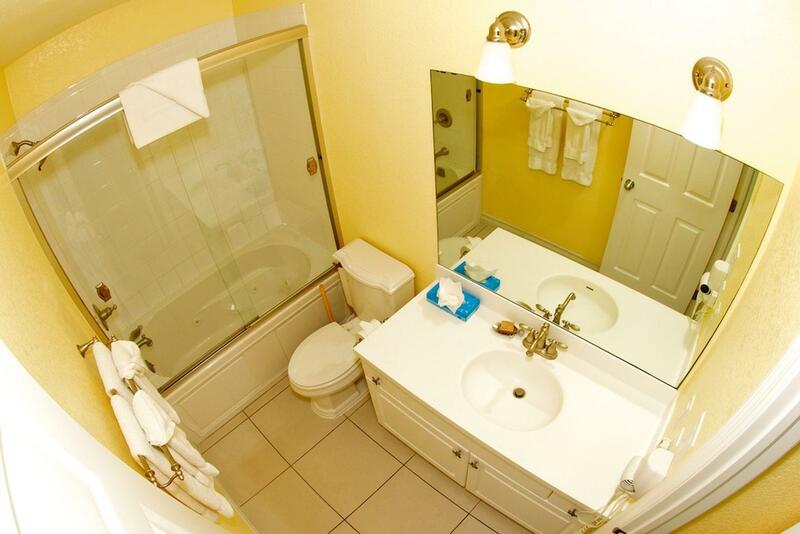 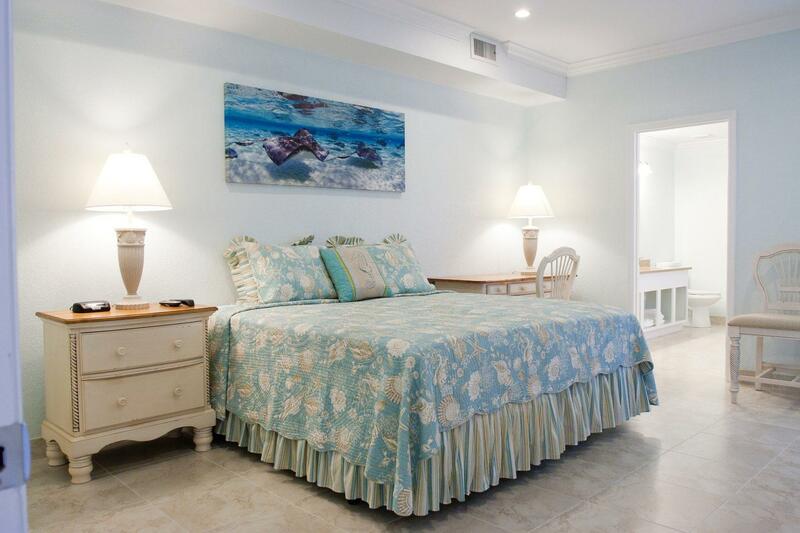 All guestrooms are fitted with luxury furnishings, kitchens, flat screen TVs, large balconies and whirlpool jet bath tubs. 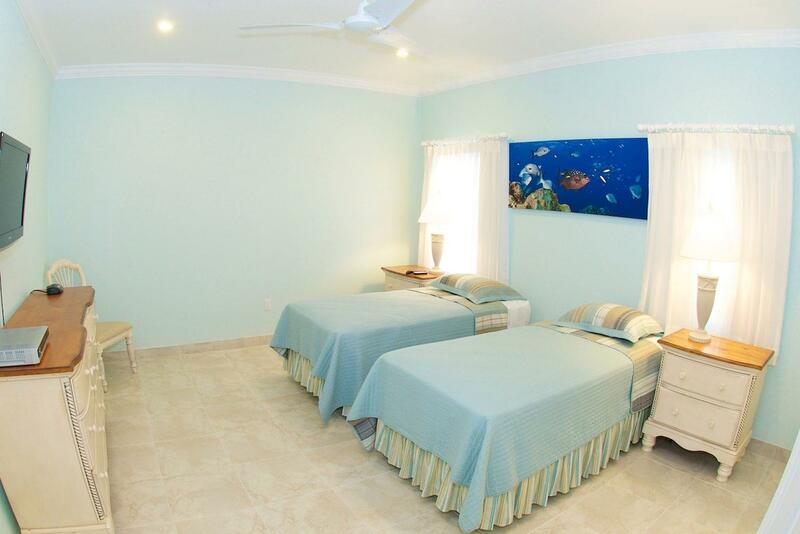 Activities include kayaking, cycling, snorkeling and guided land tours, including a visit to the Blue Iguana breeding facility. 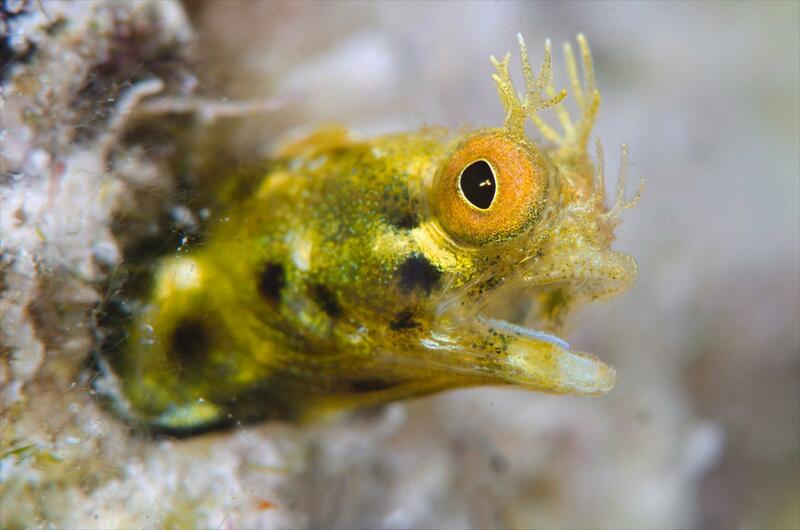 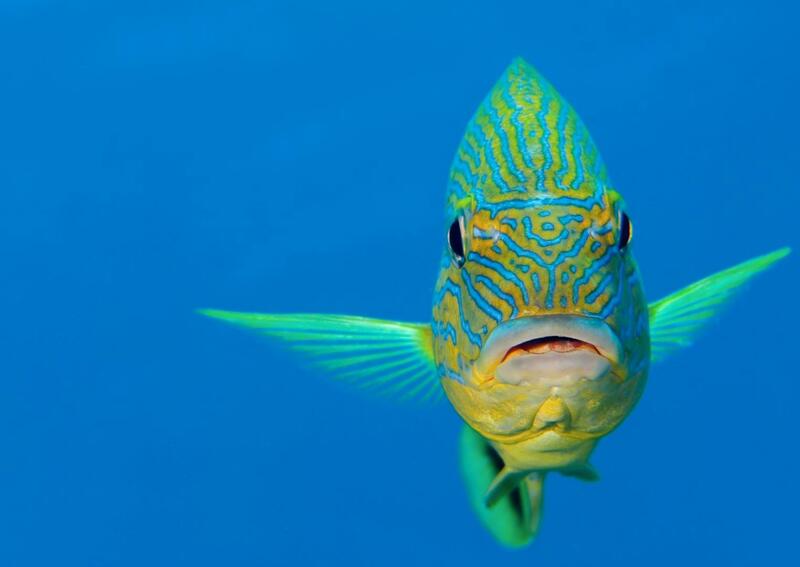 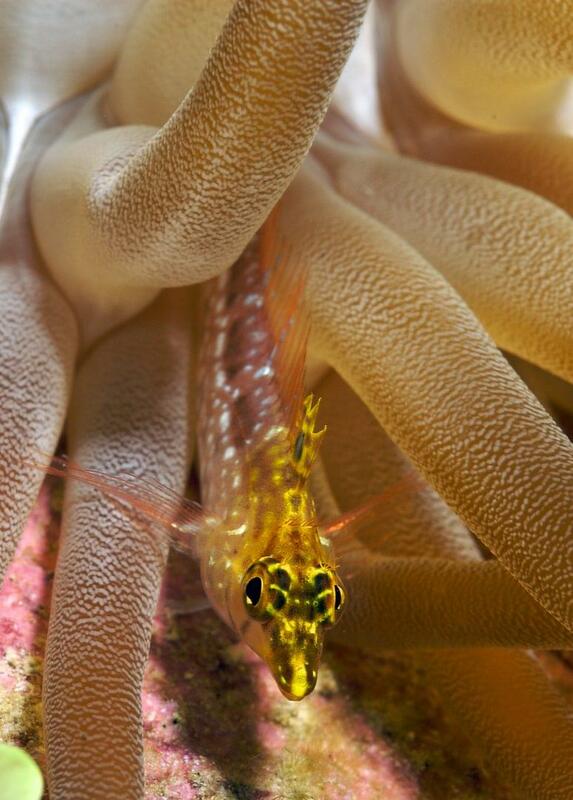 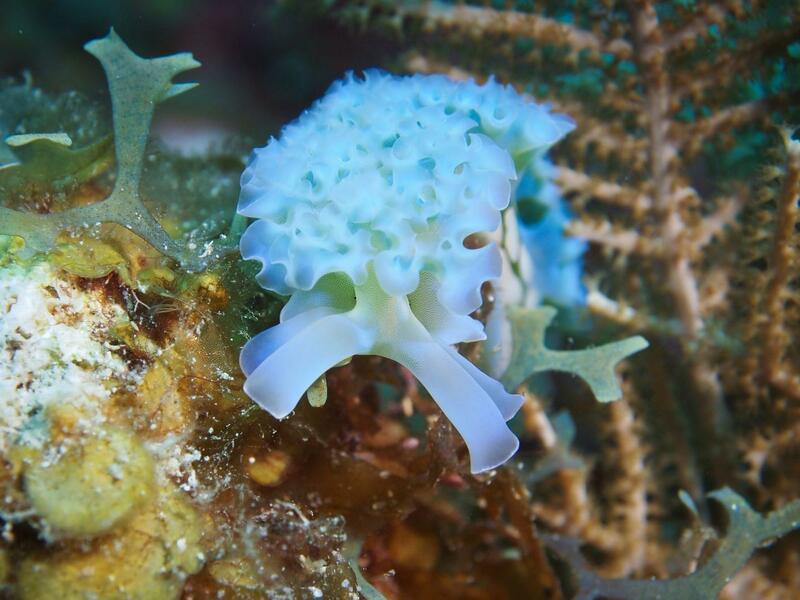 Because of the incredible variety of underwater habitats to be found around the islands, there is a surprising amount of biodiversity to be found in the crystal clear waters. 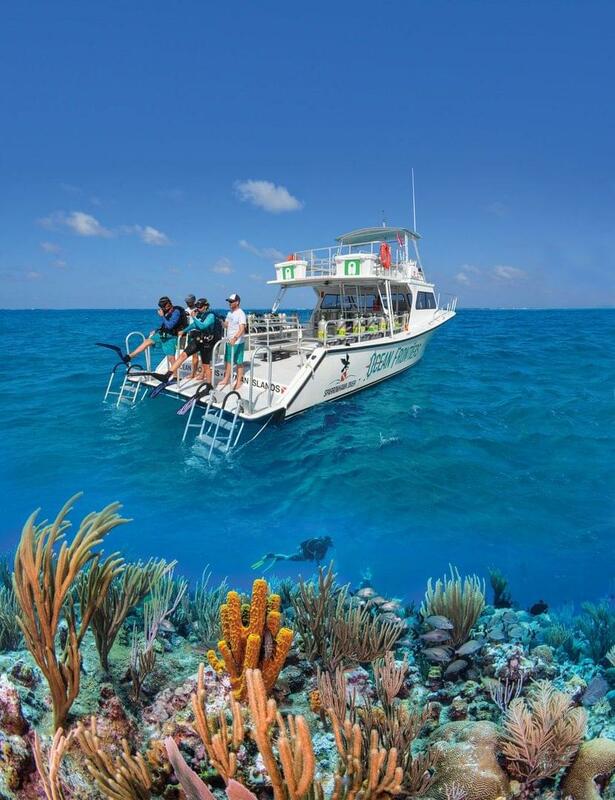 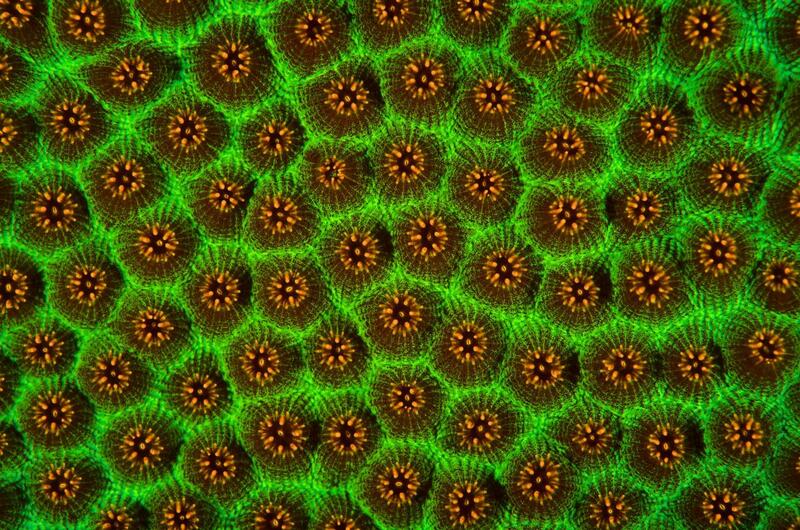 Carousing alongside huge brain corals and sea fans are countless colorful creatures like angelfish and octopi. 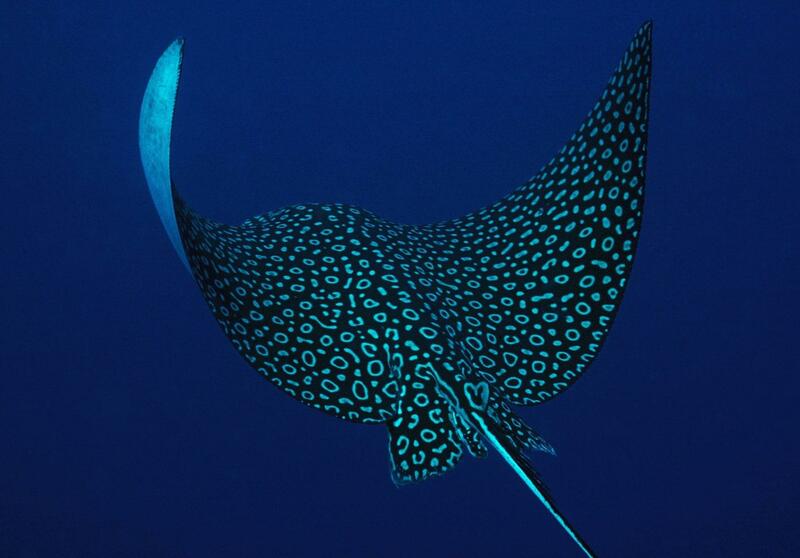 There are many species of rays to be found in these waters, so keep an eye out for Electric rays, Yellow rays, and the massive Southern rays. 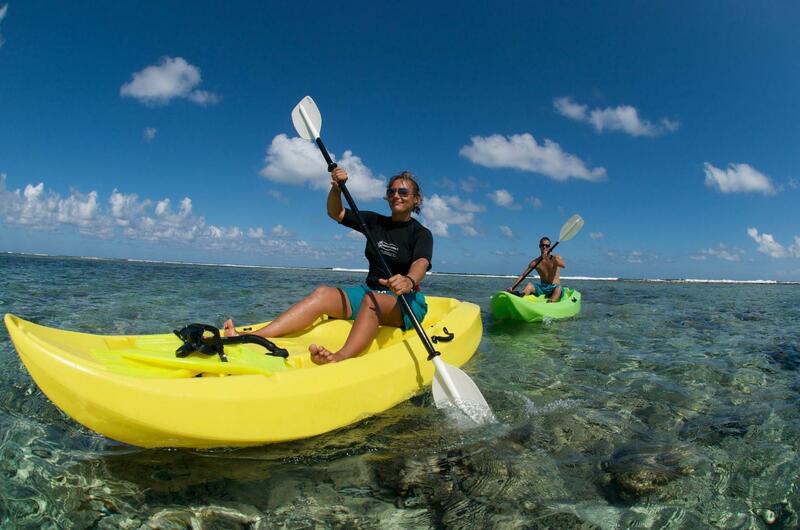 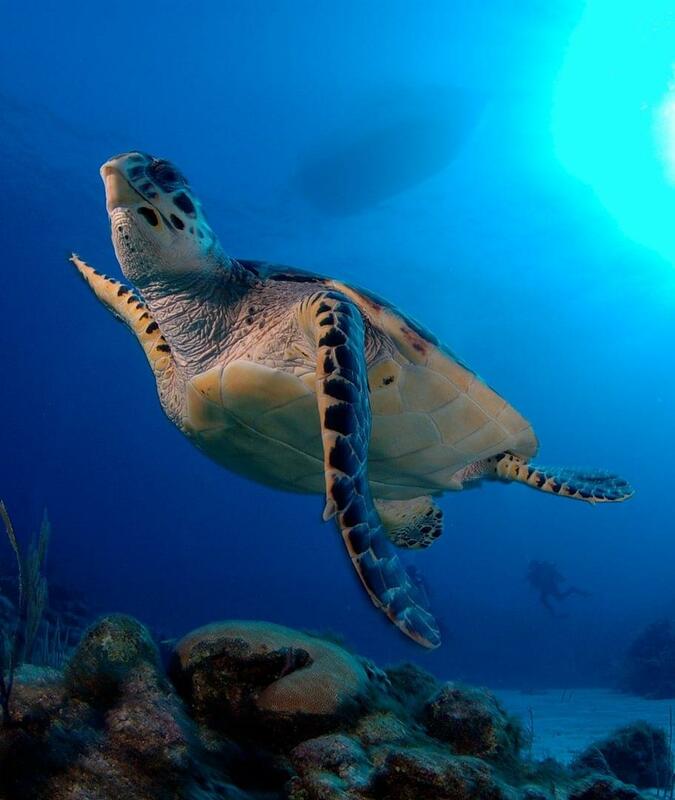 Green sea turtles are popular attractions, as well, casually gliding through the blue. 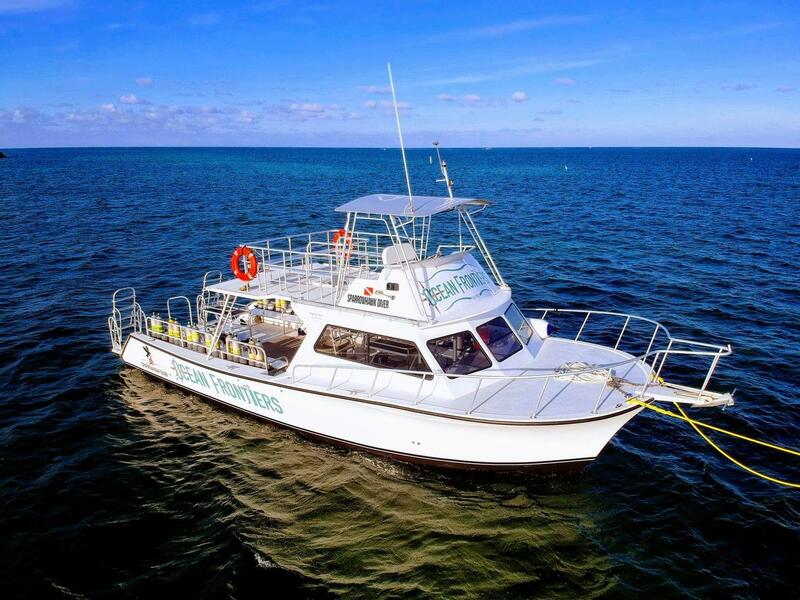 Turtles, eagle rays, reef sharks and more! 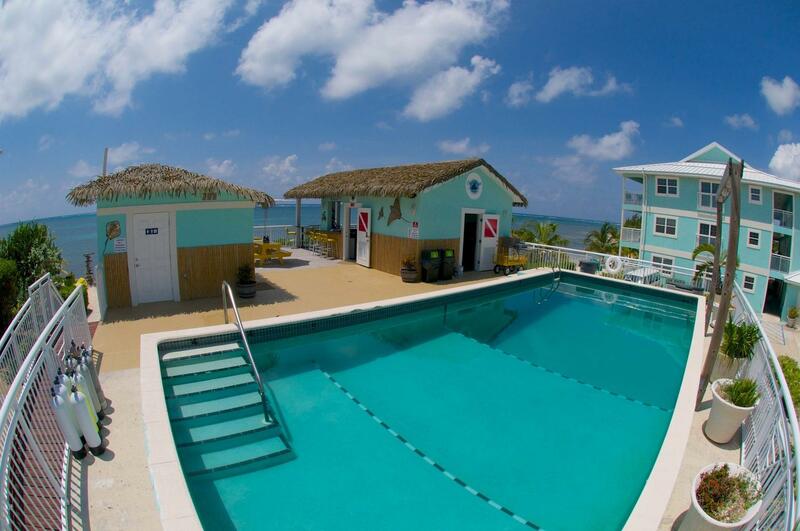 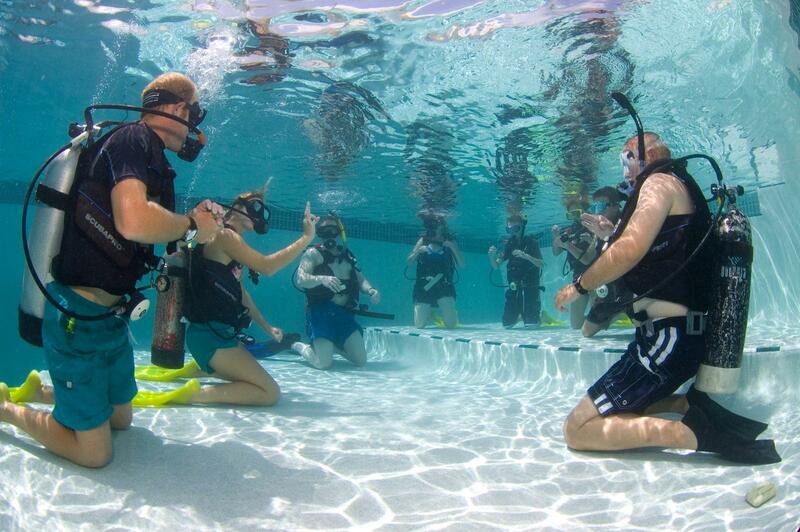 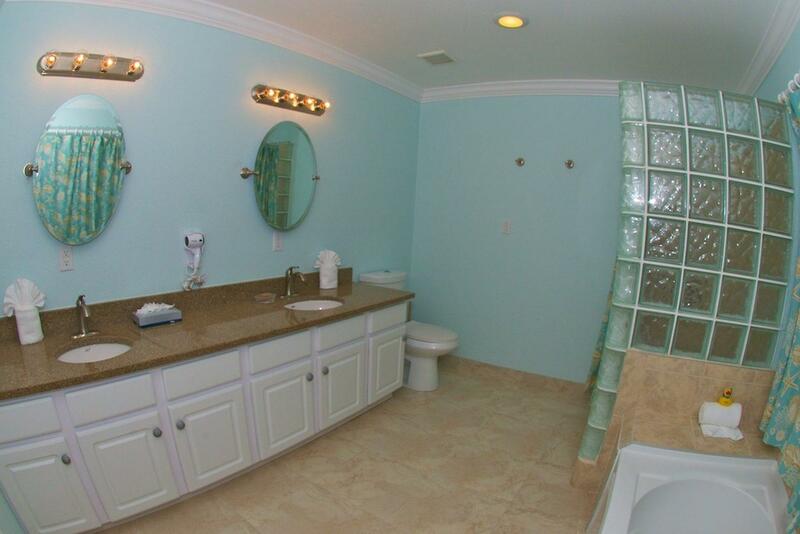 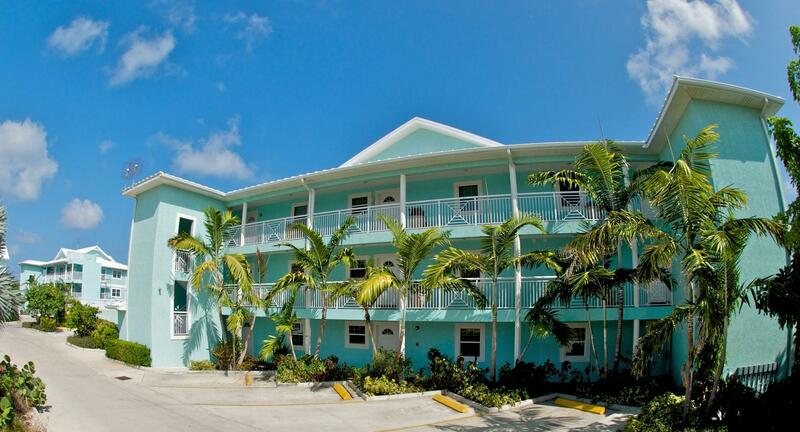 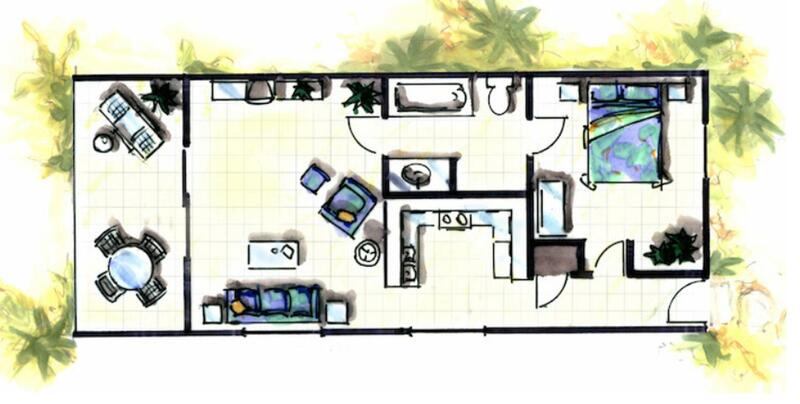 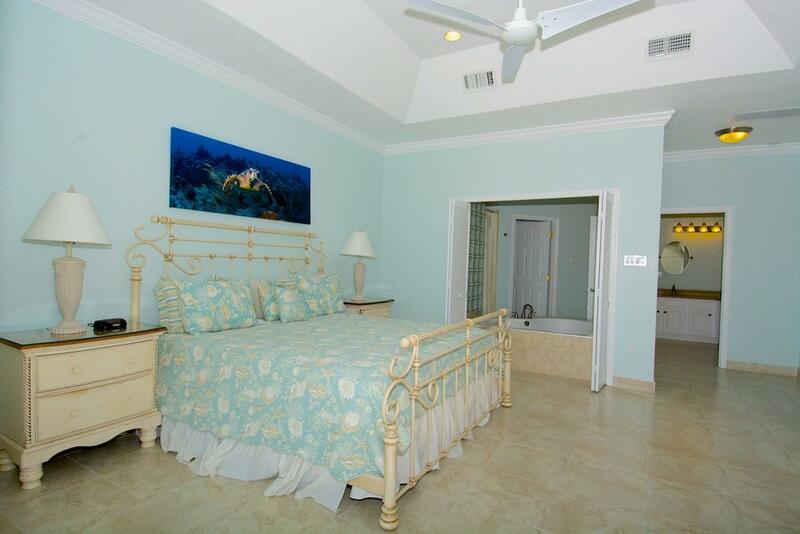 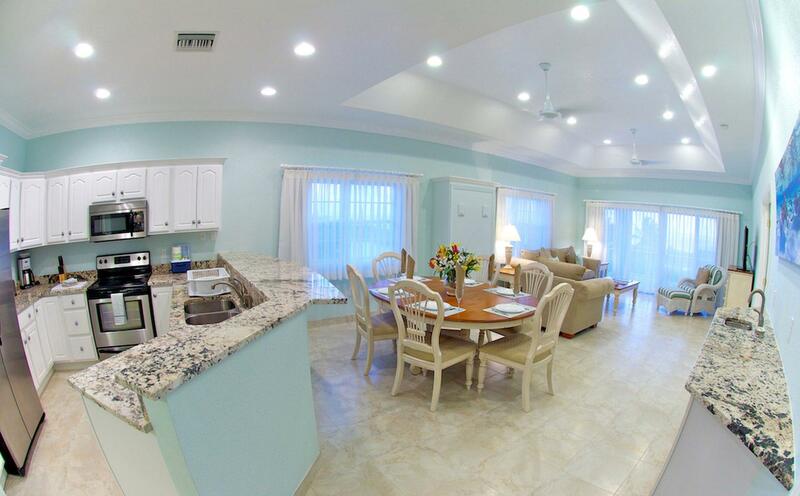 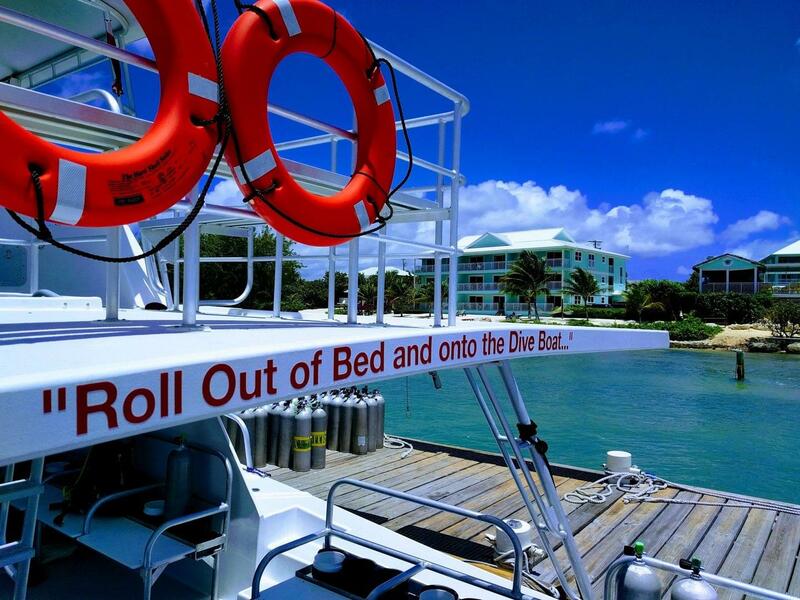 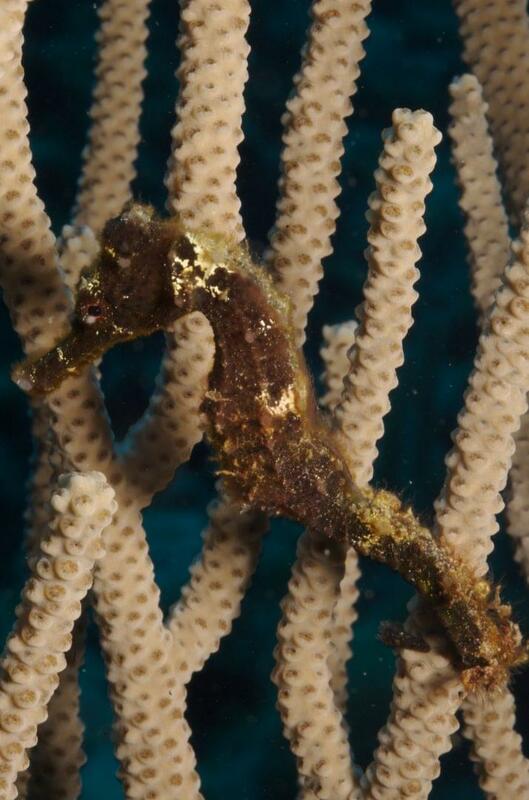 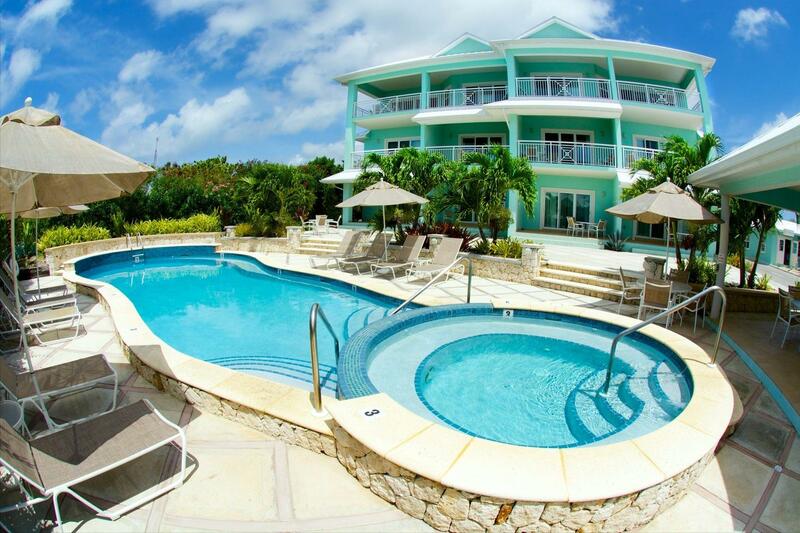 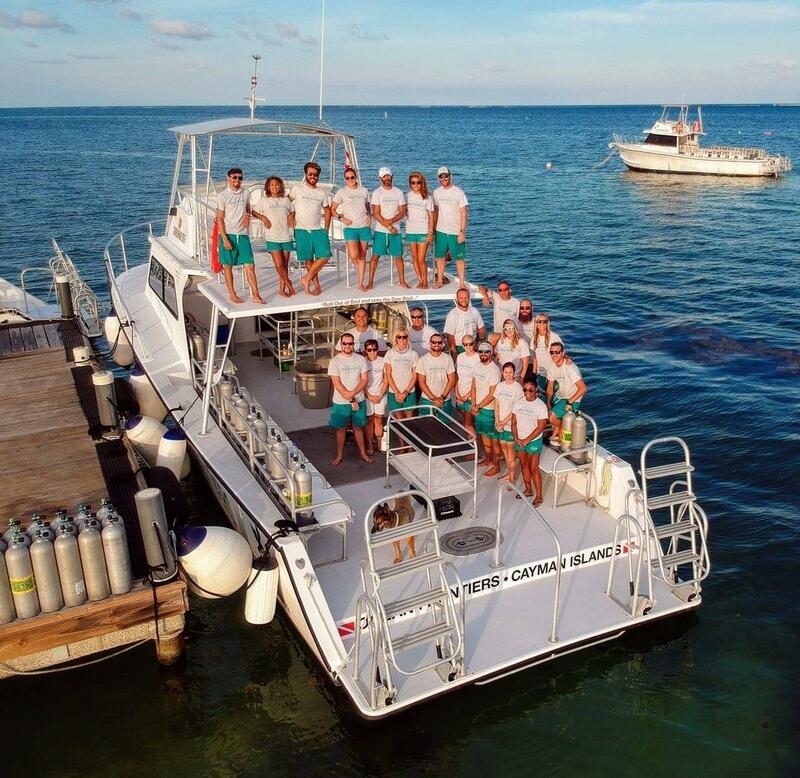 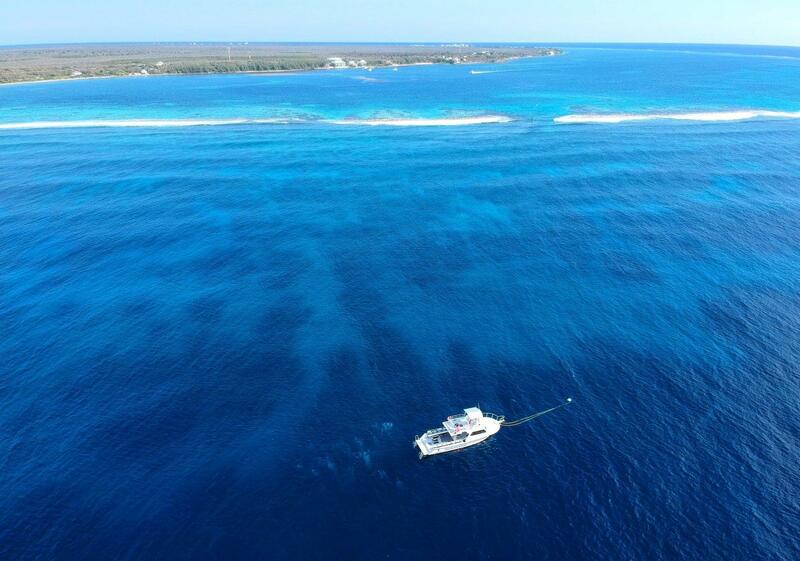 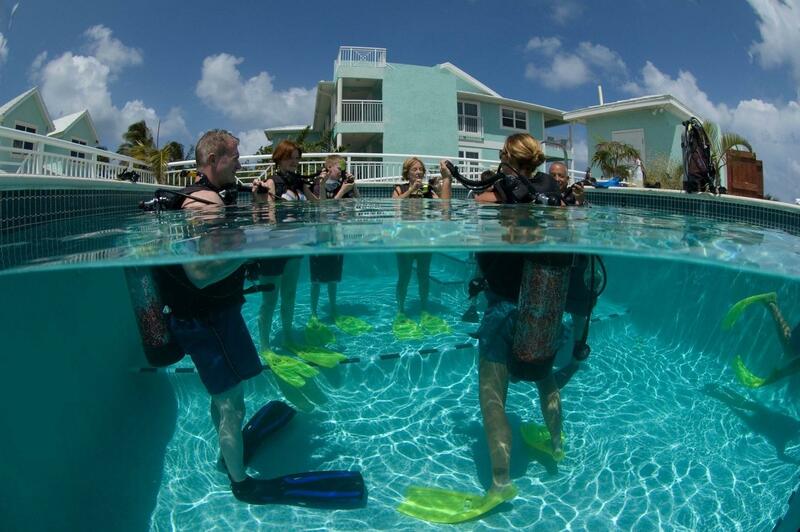 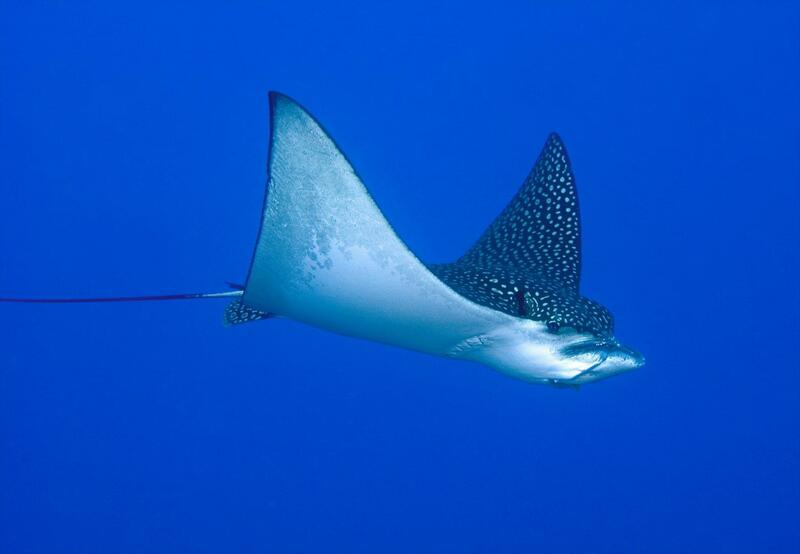 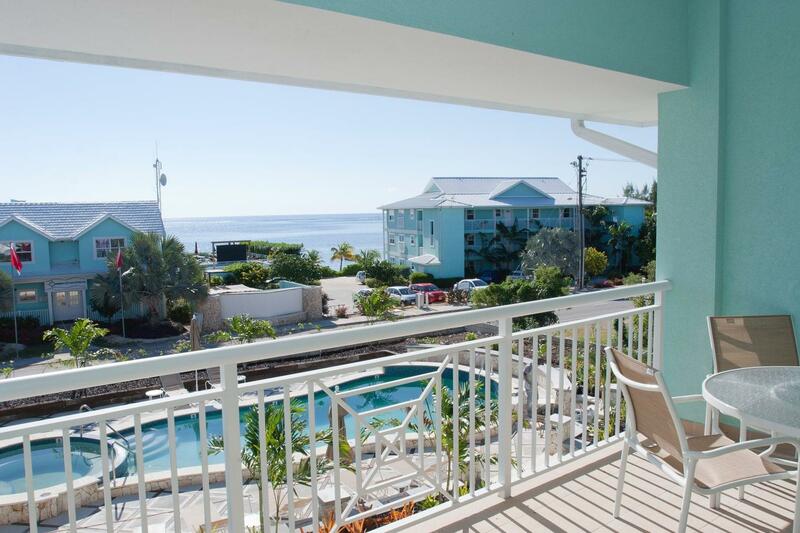 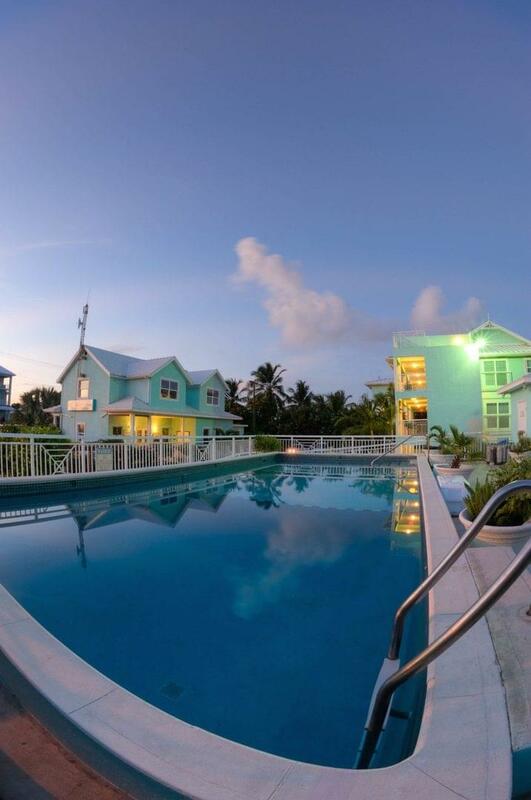 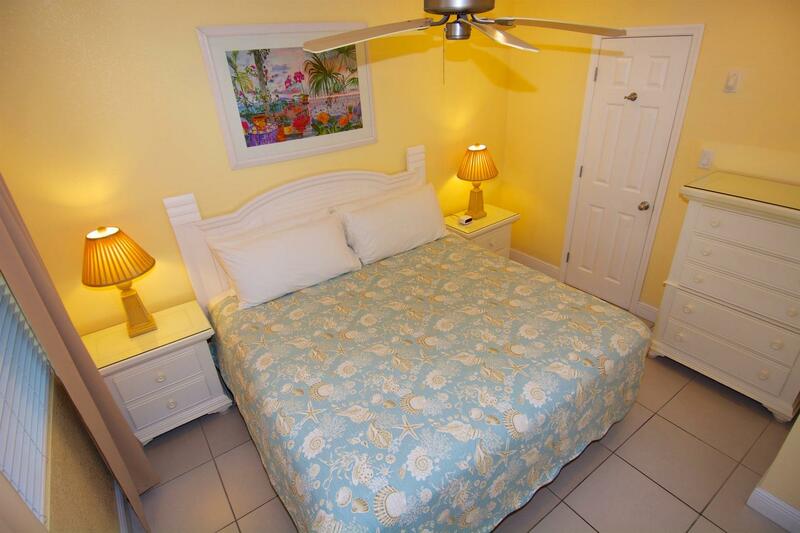 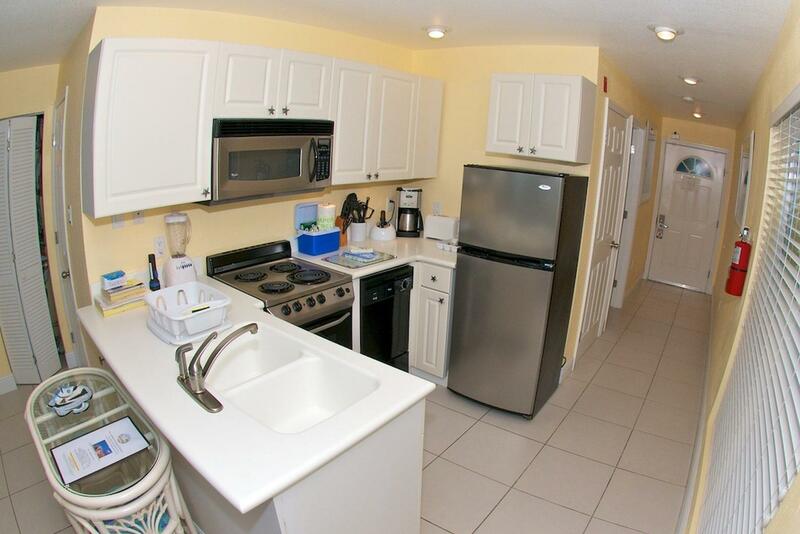 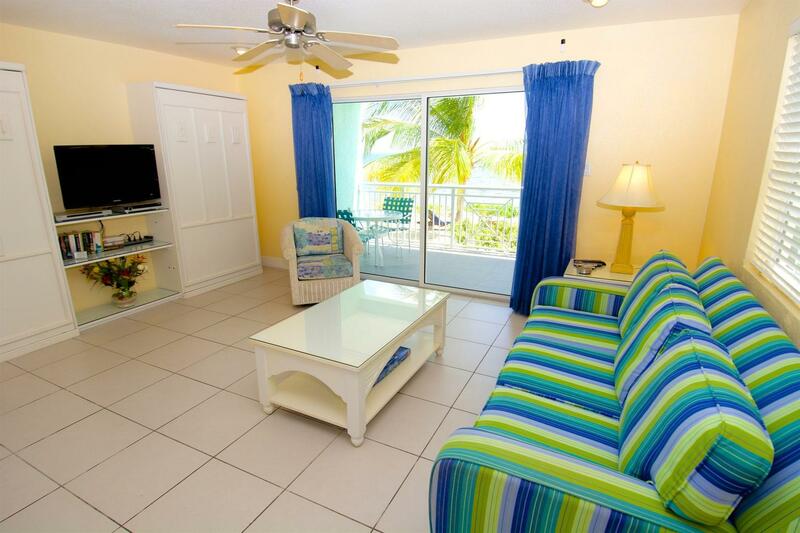 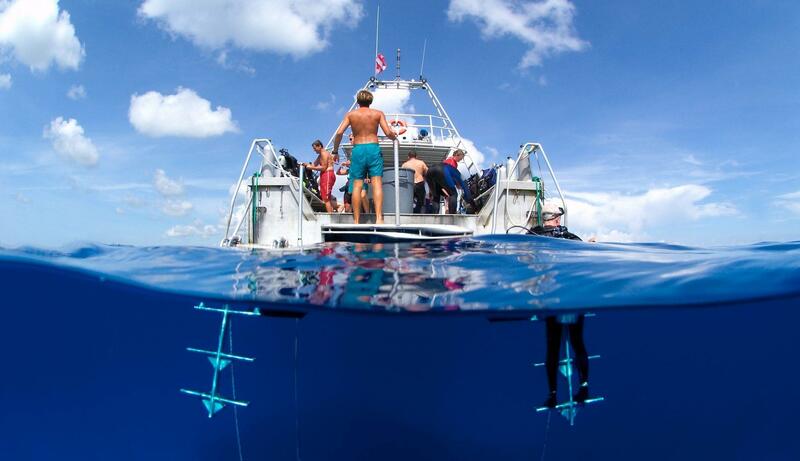 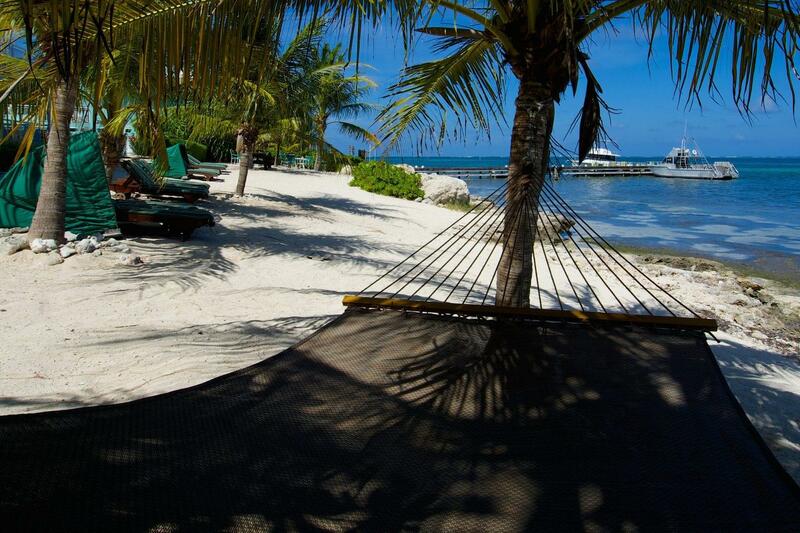 Ocean Frontiers is a PADI 5* IDC on the East End of Grand Cayman Island. 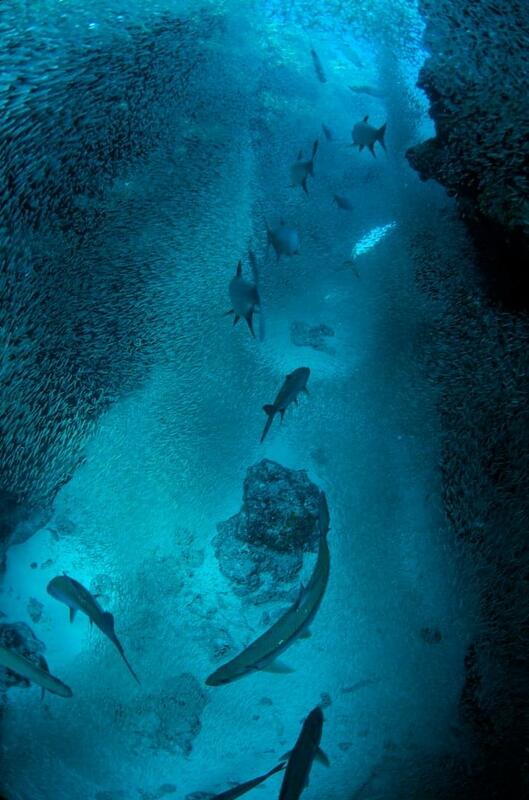 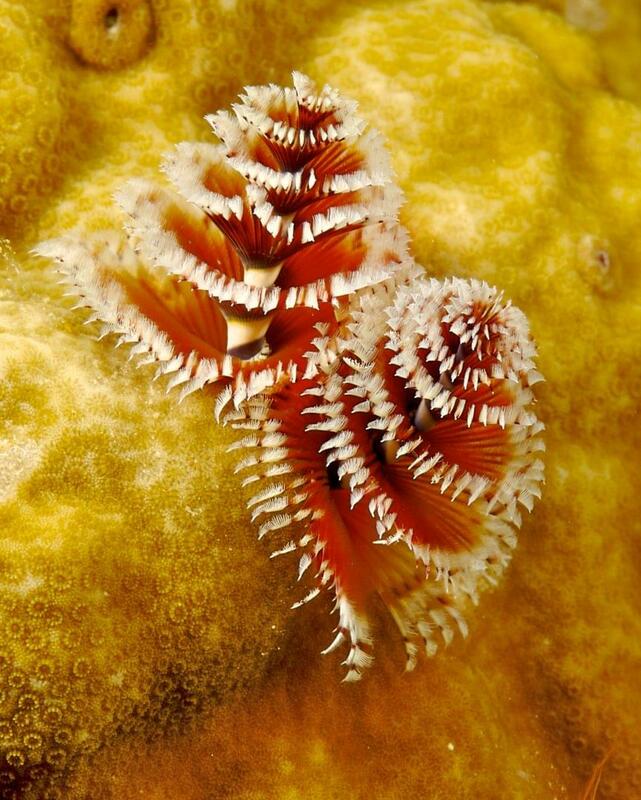 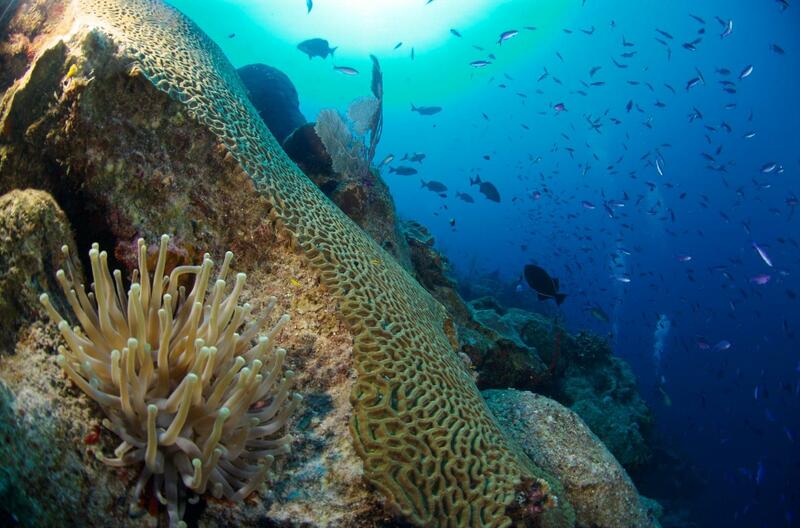 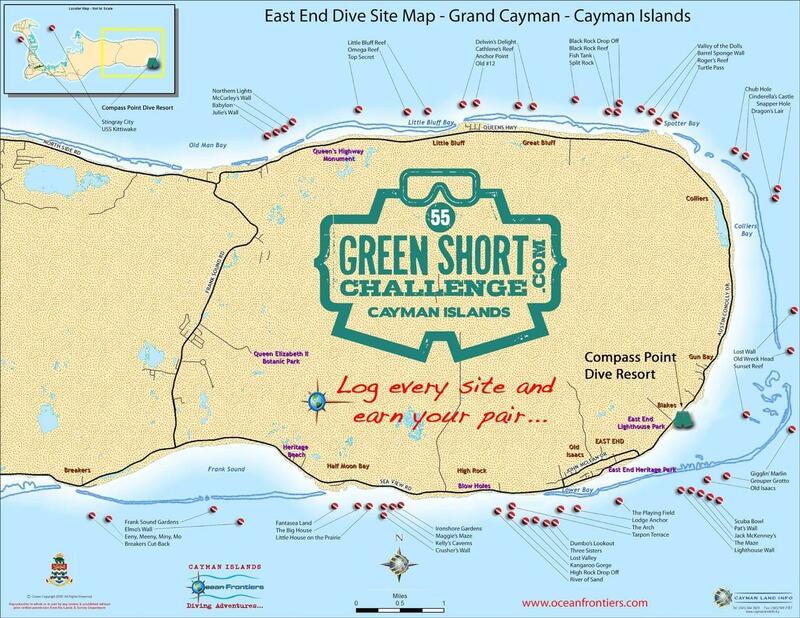 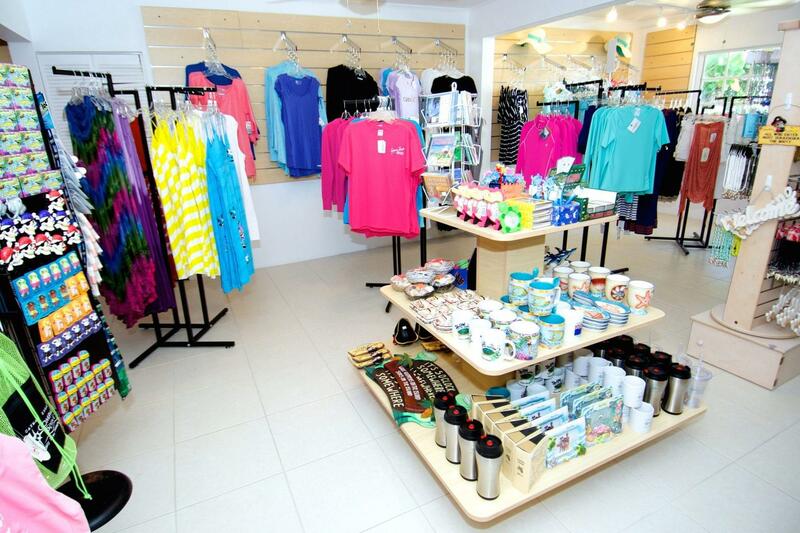 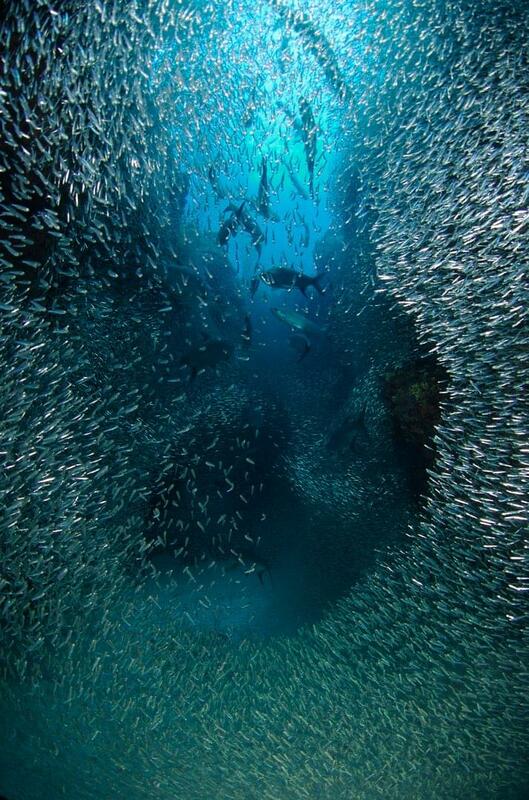 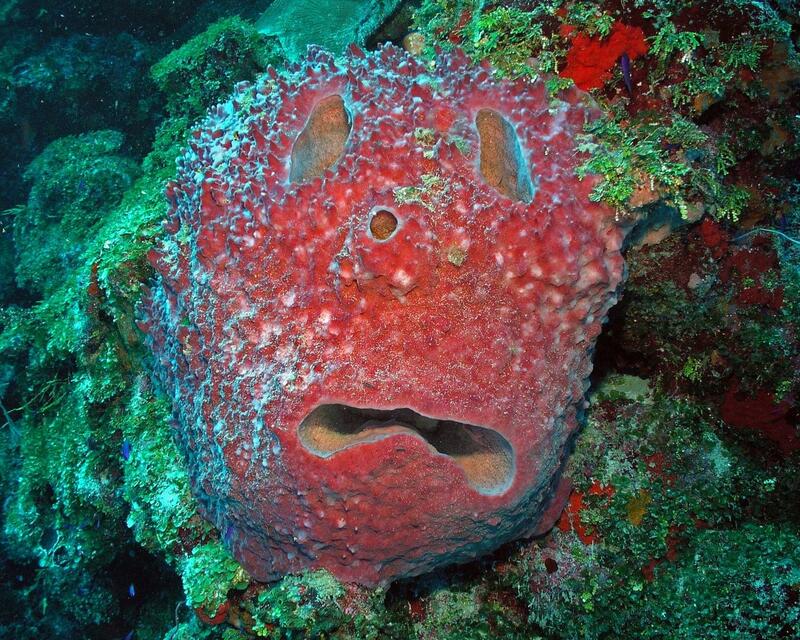 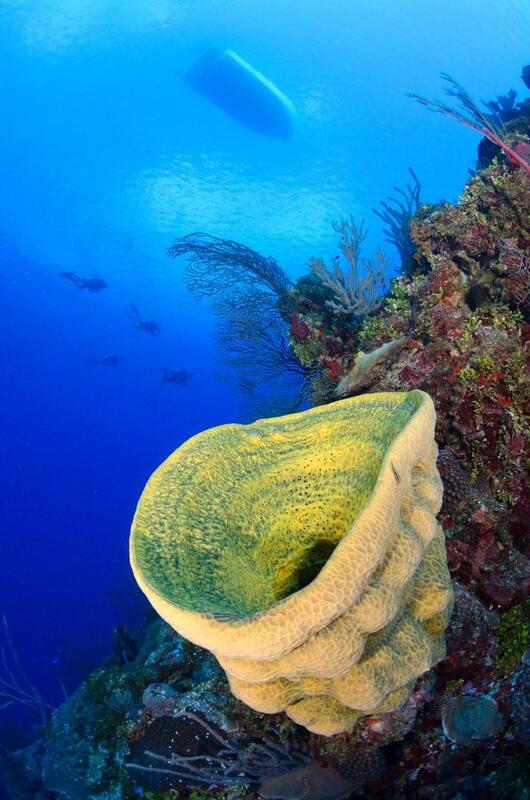 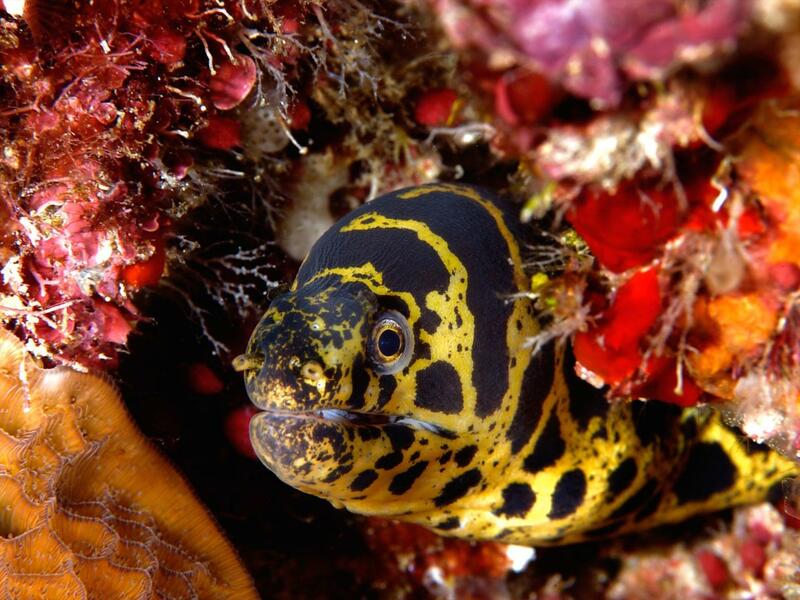 Cayman's East End is on of the Caribbean's premier dive spots. 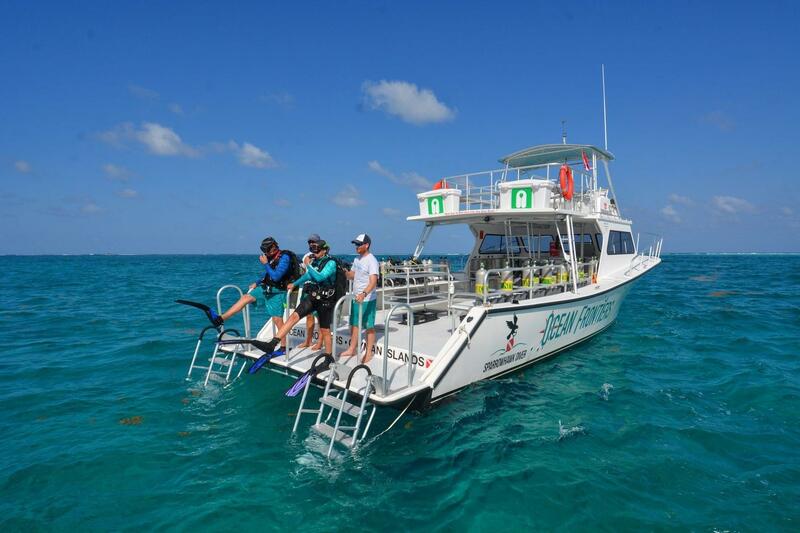 Corals, canyons and sand chutes lead you through into clear, deep blue waters of the outer reef before plunging to 6,000ft. 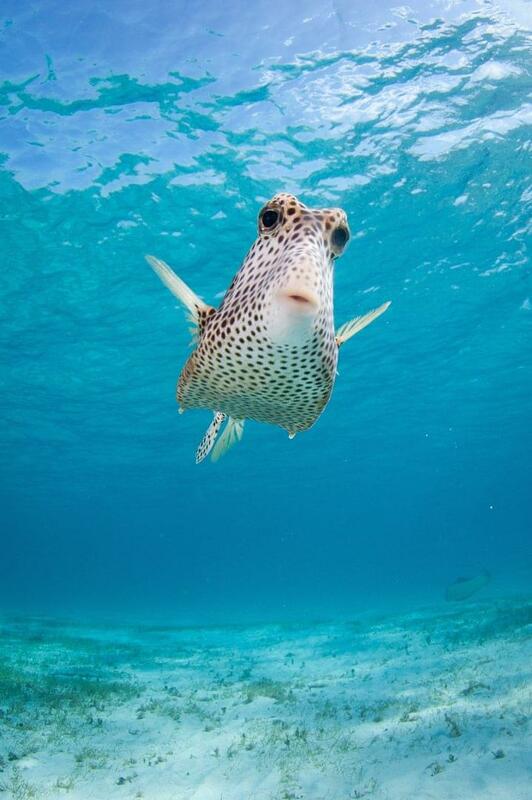 The Cayman Islands’ trademark turtles are common sight and eagle rays, angelfish, reef sharks and grouper are among the 500 species of fish that have been documented here. 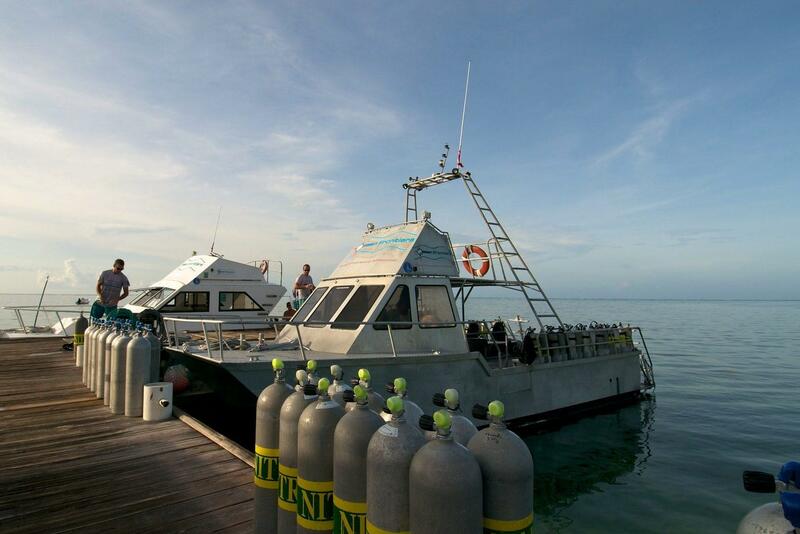 Trips include two or three-tank boat dives, night and wreck diving, lionfish hunting, X-Dive, glow dive (Ultraviolet night diving). 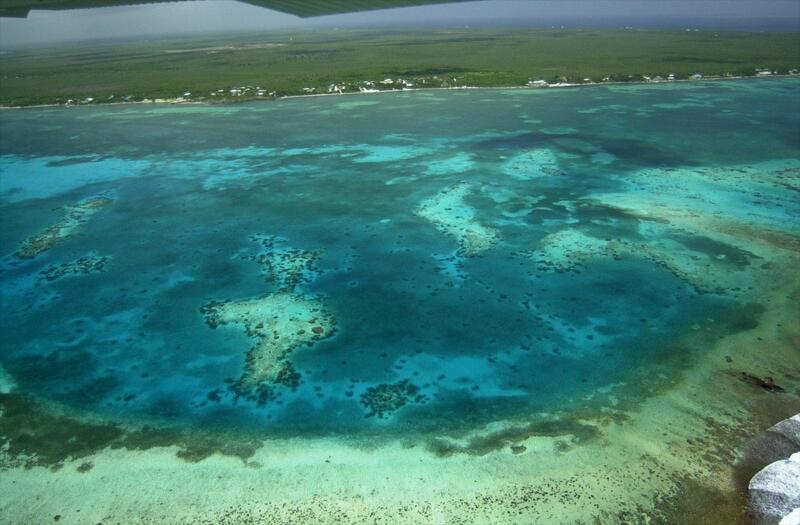 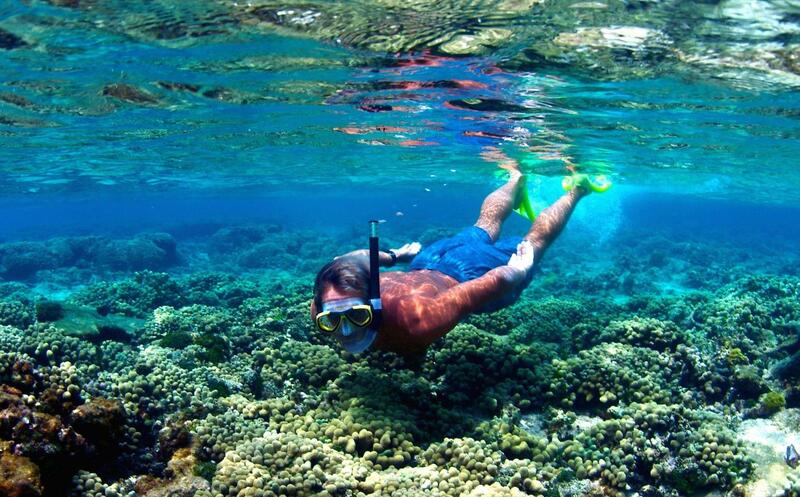 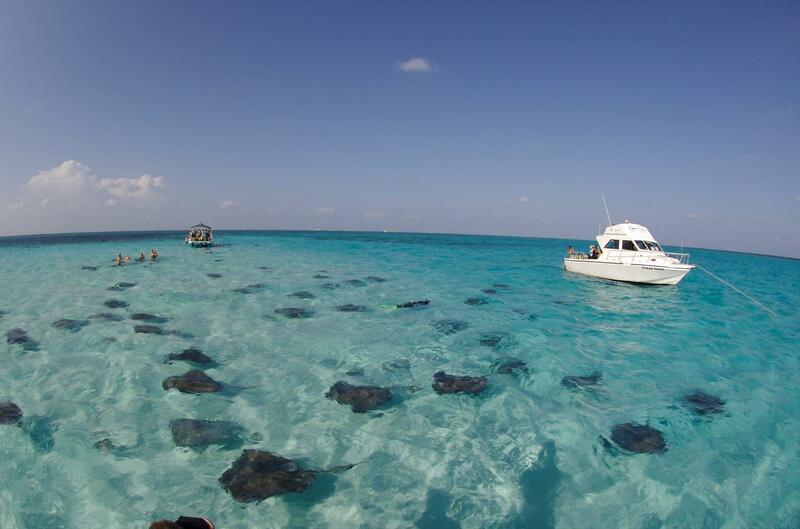 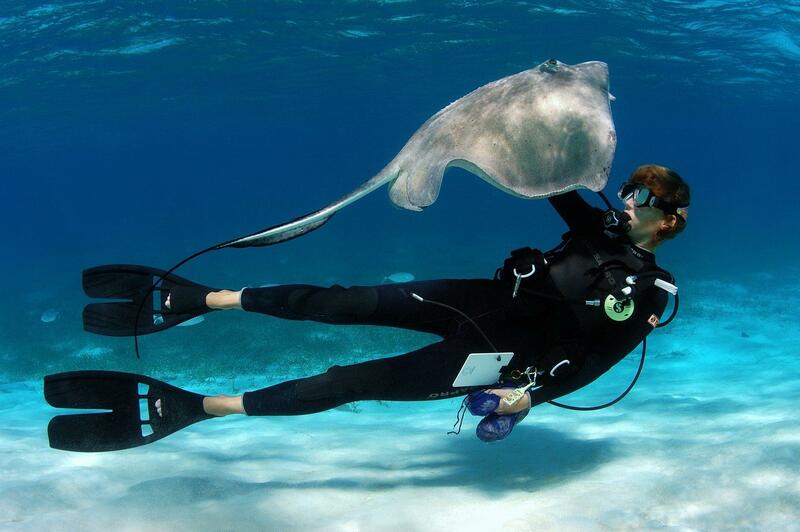 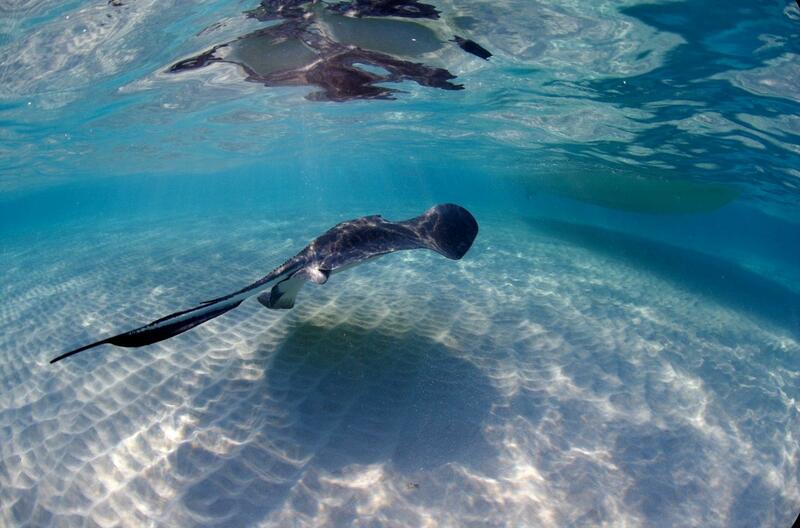 You can also go snorkeling with stingrays or witness the silver rush (summer only). 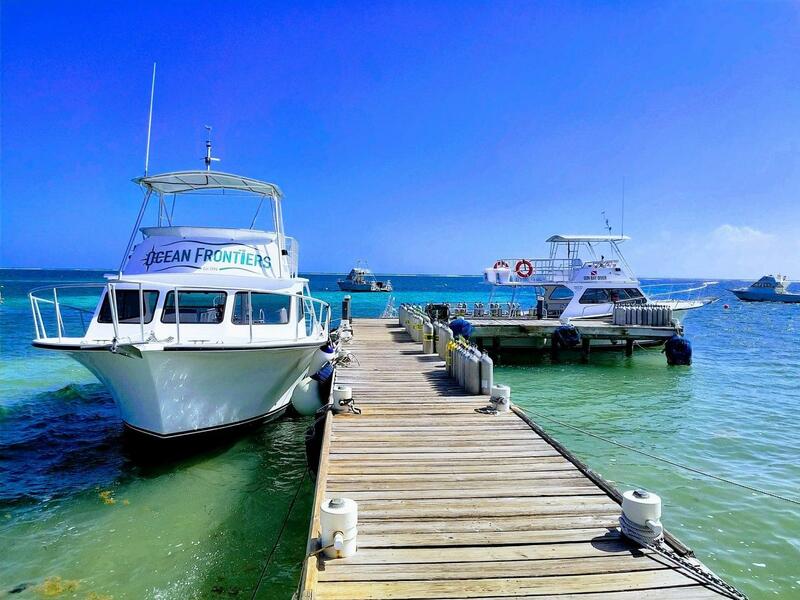 The main passenger airport in the Cayman Islands, Owen Roberts International Airport (GCM) is located on the largest of the Cayman Islands, Grand Cayman. 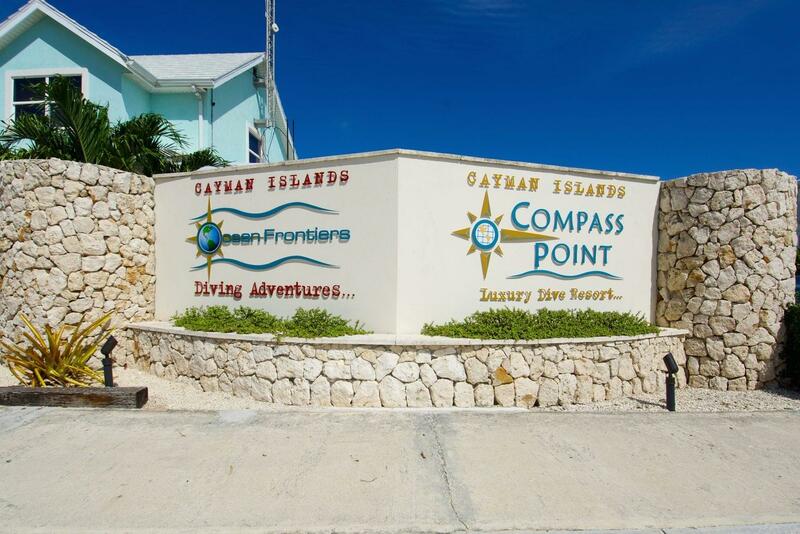 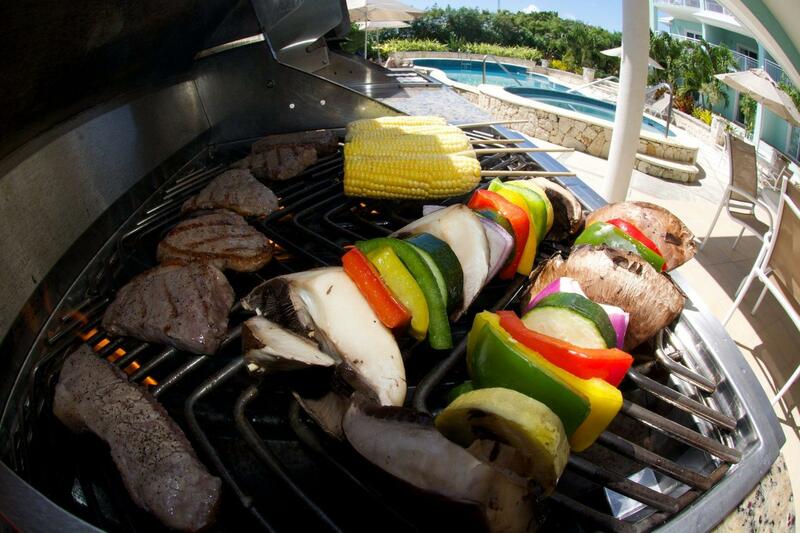 Renting a car during your stay in the Cayman Islands provides the most flexibility when it comes to transportation. 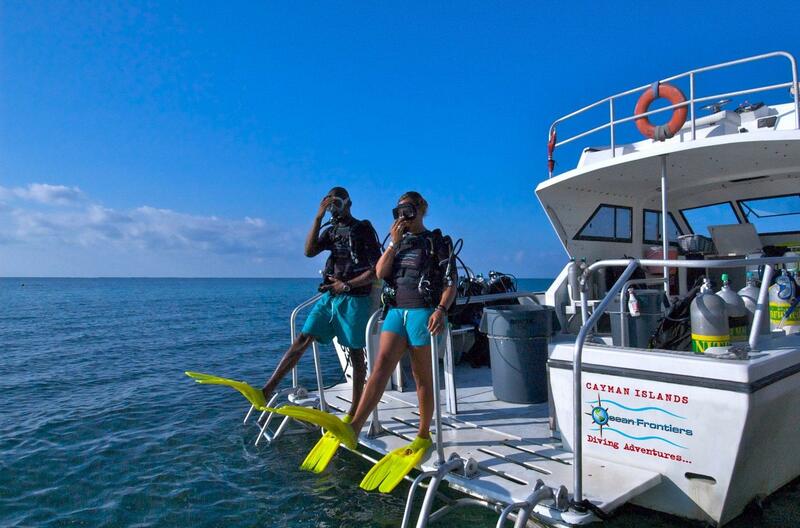 Visitors can get a temporary divers license (US$20) at any rental car counter or at the police station.